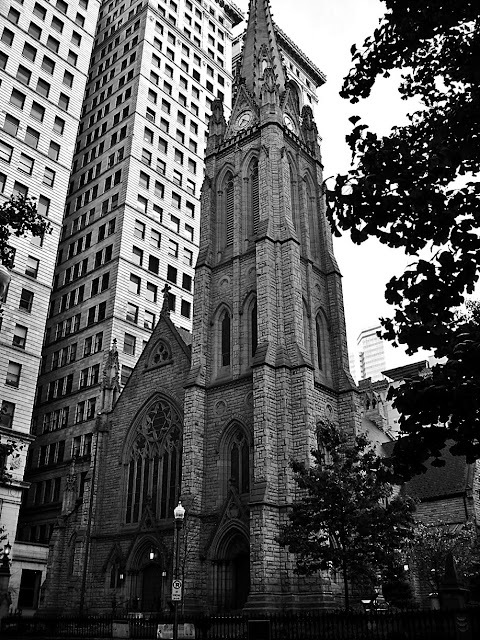 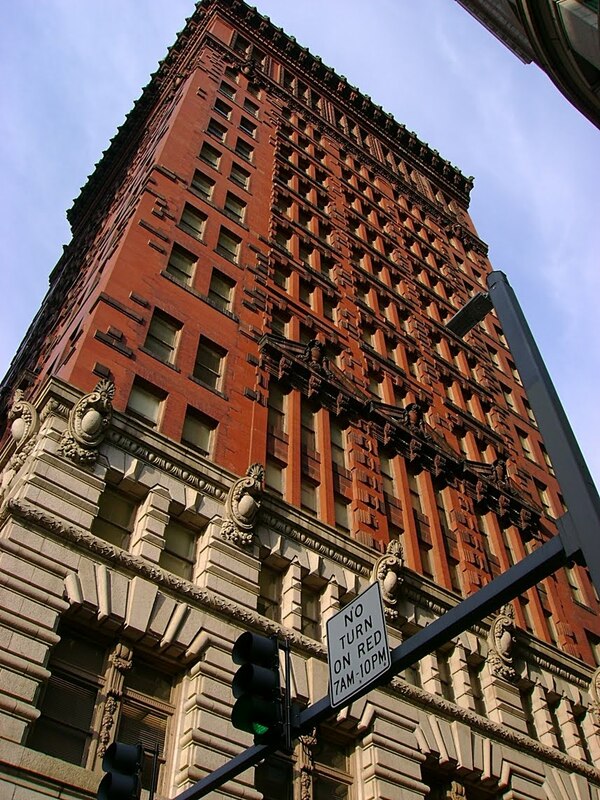 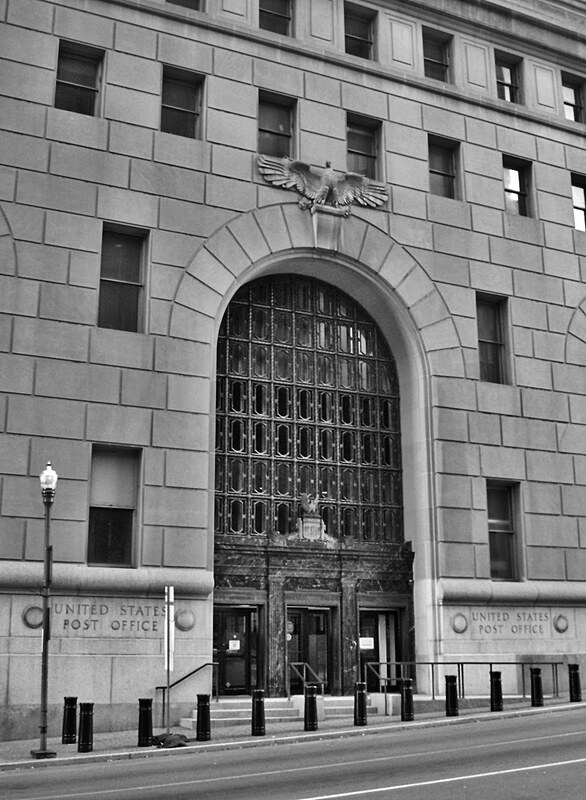 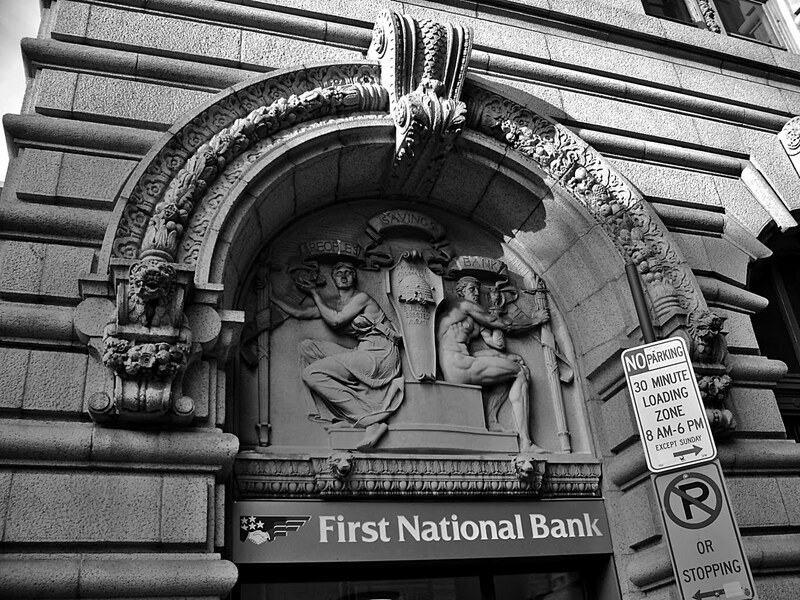 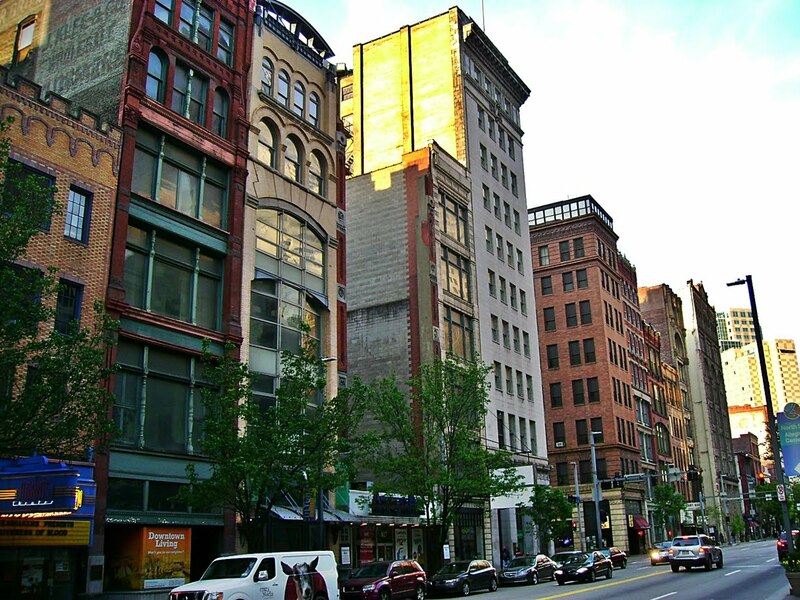 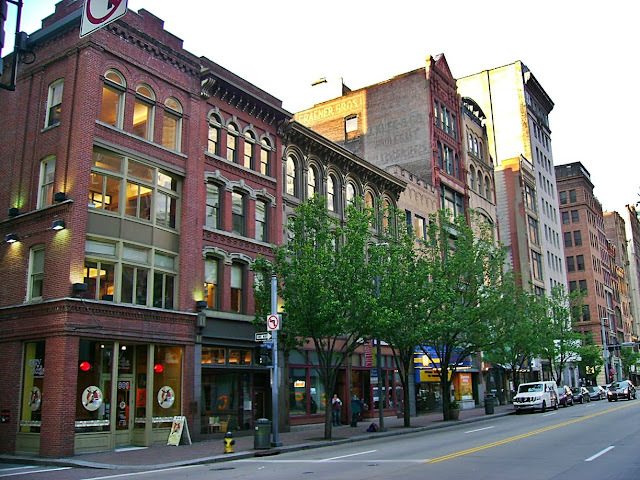 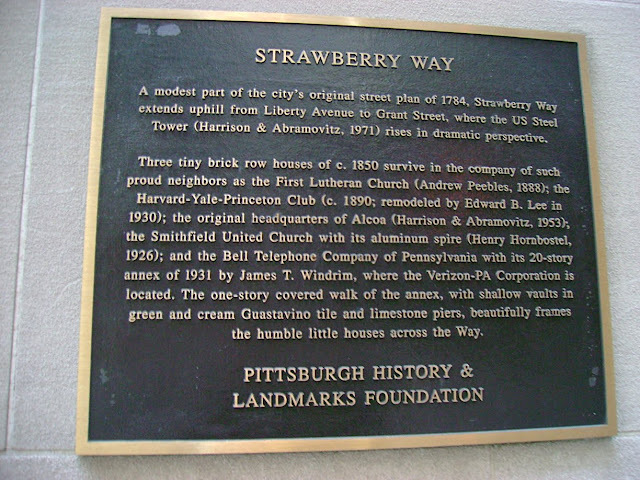 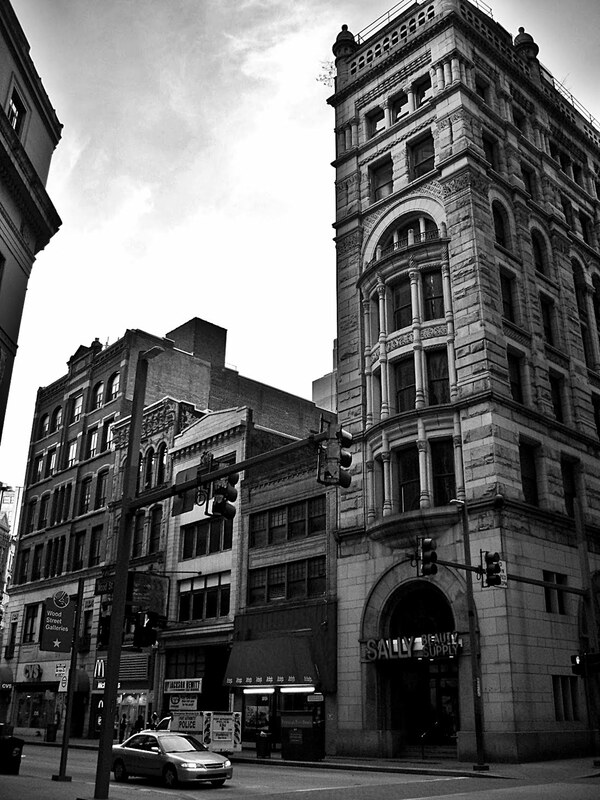 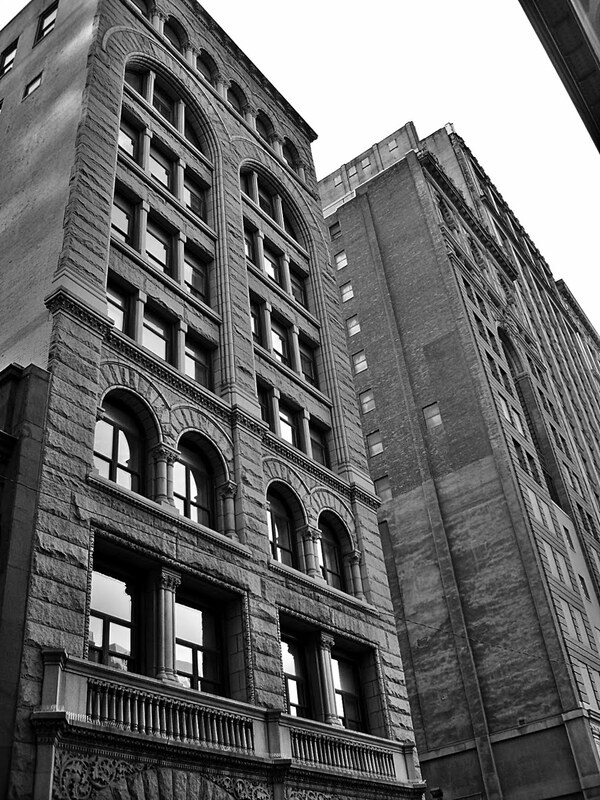 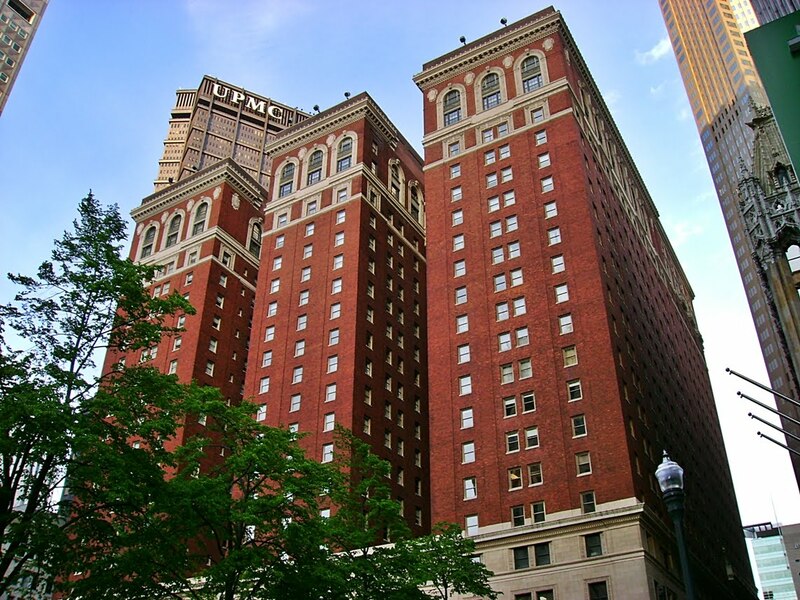 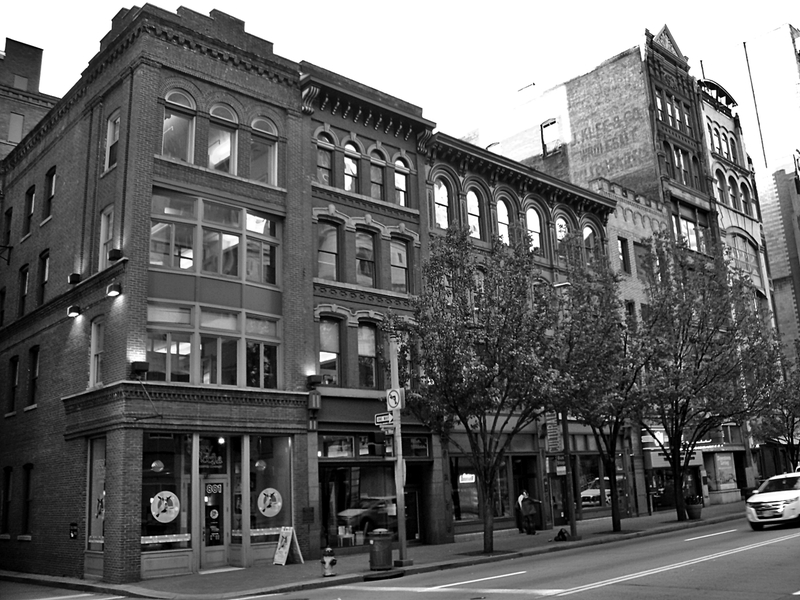 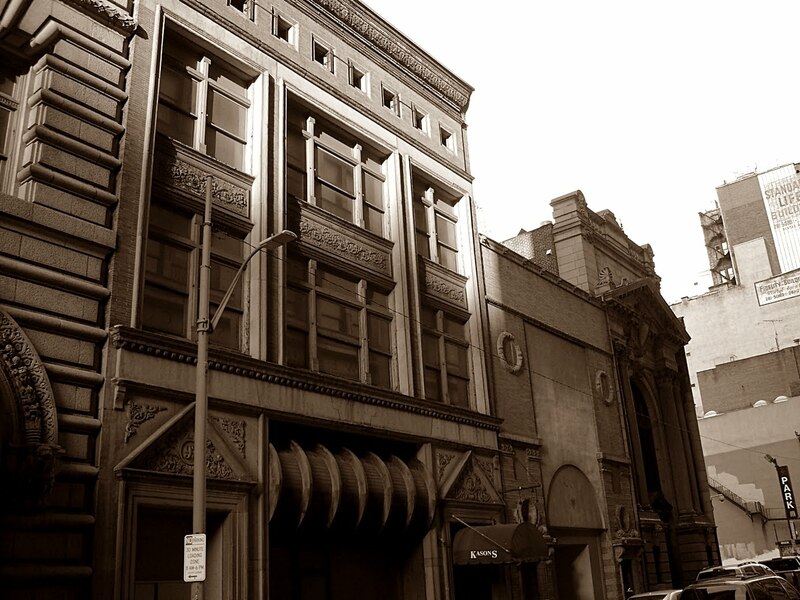 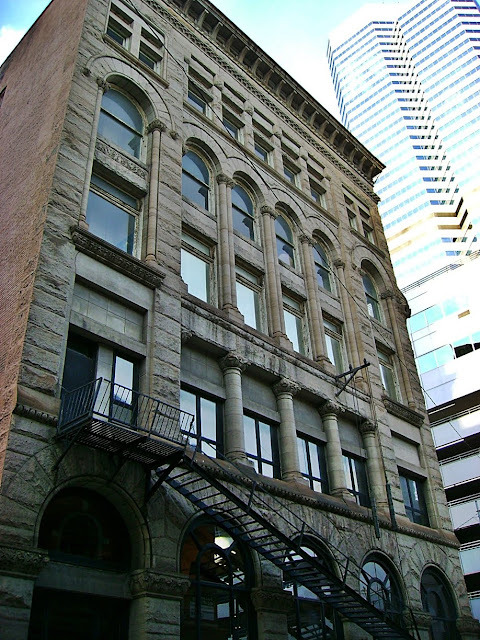 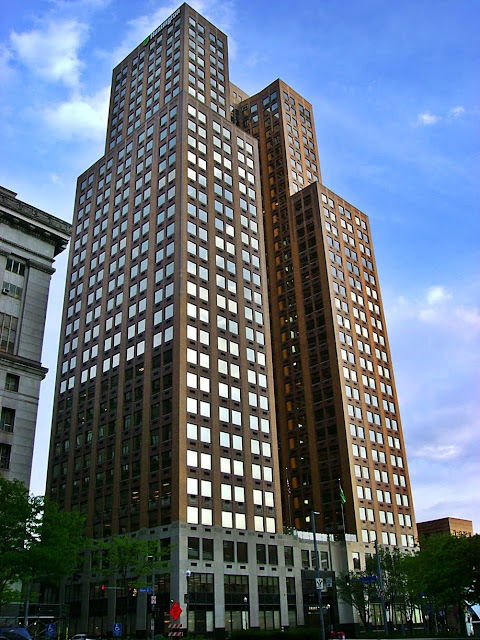 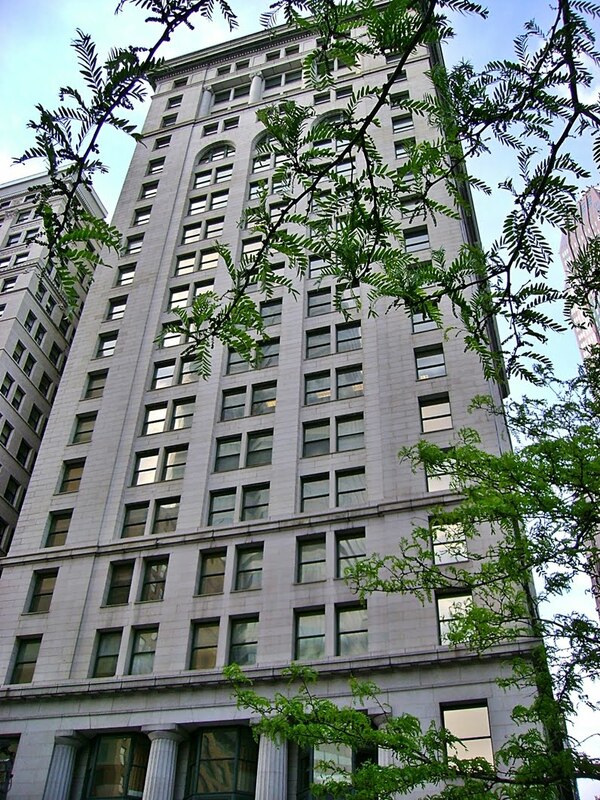 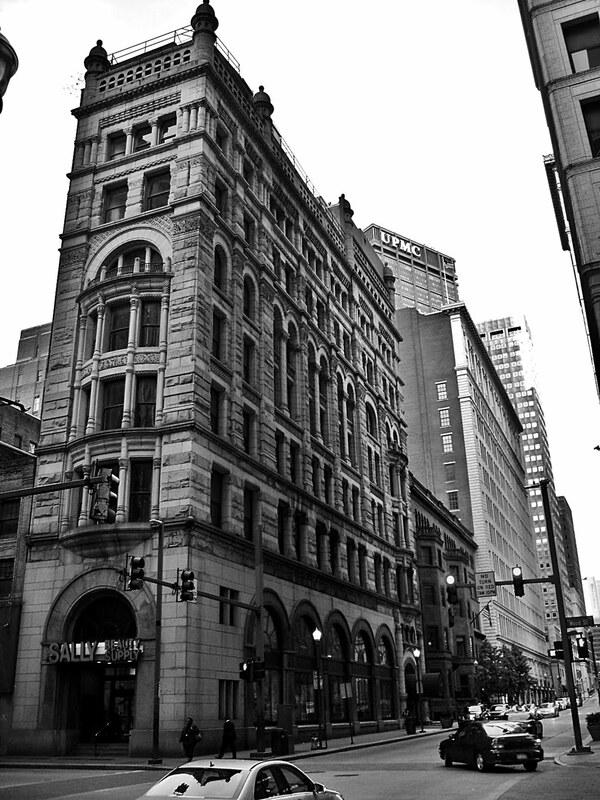 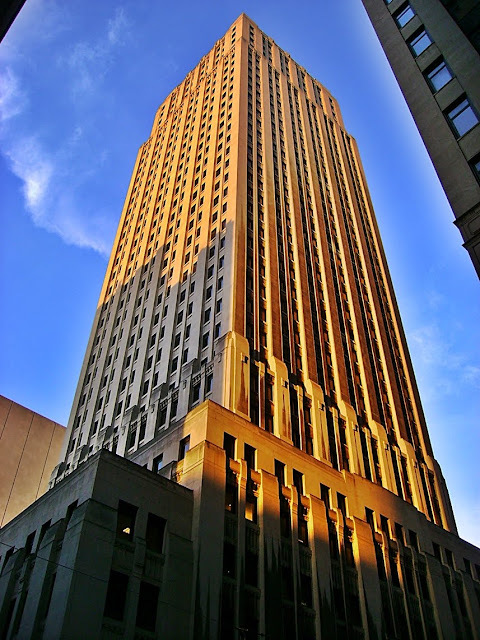 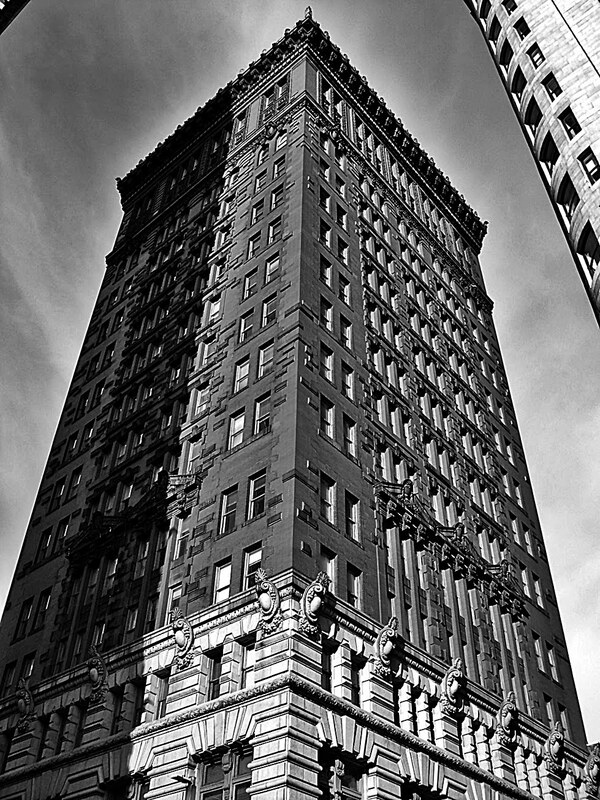 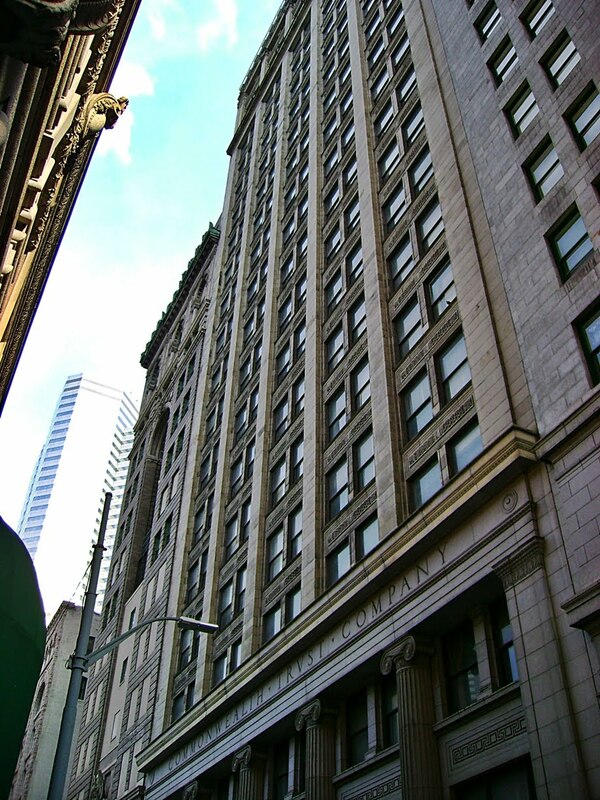 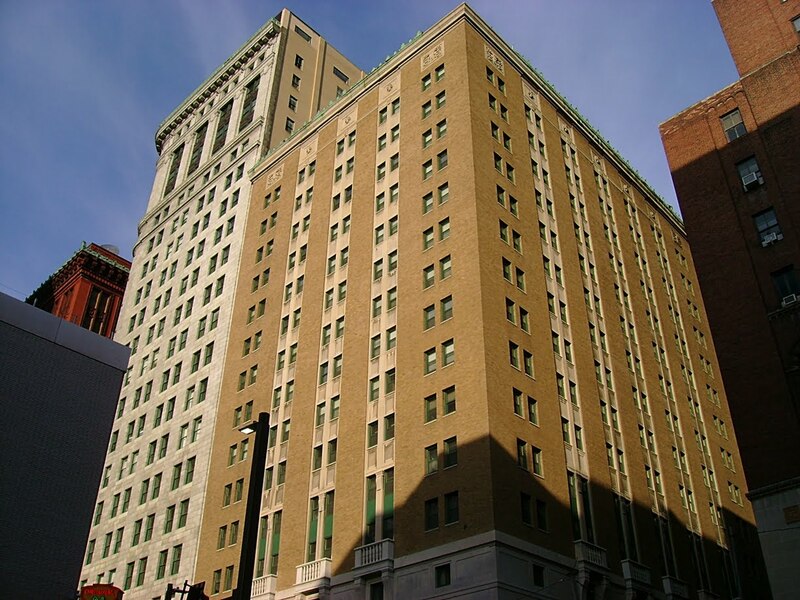 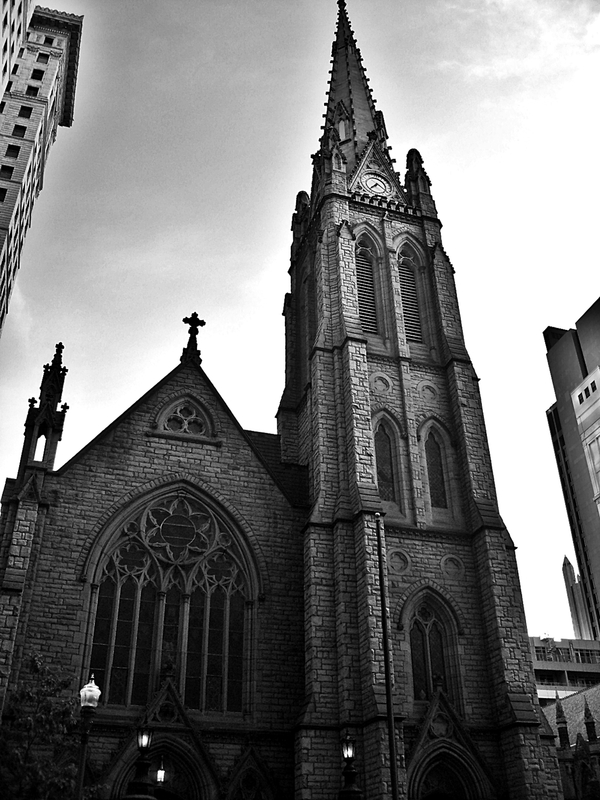 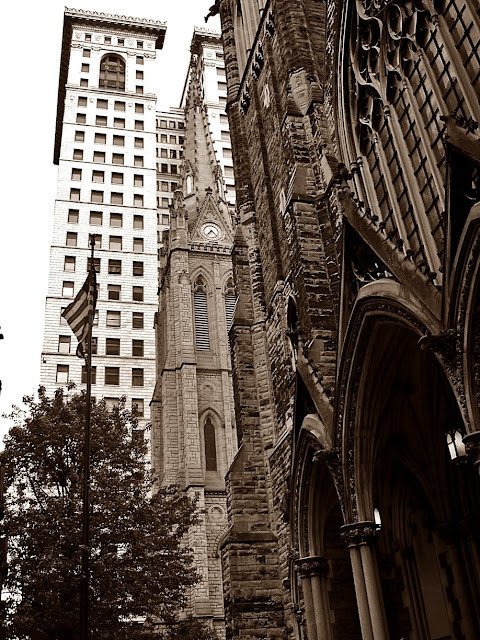 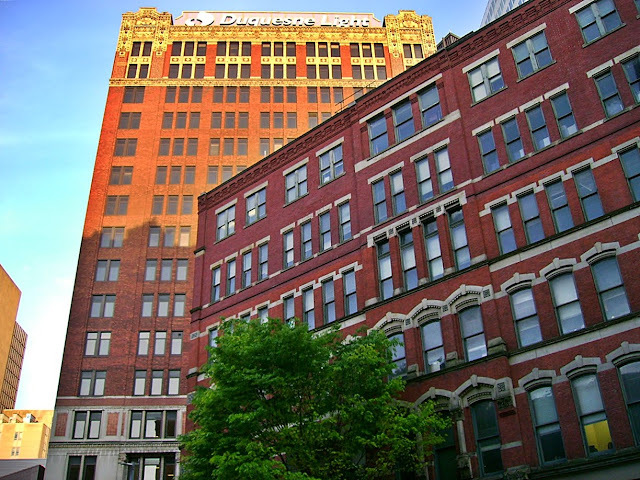 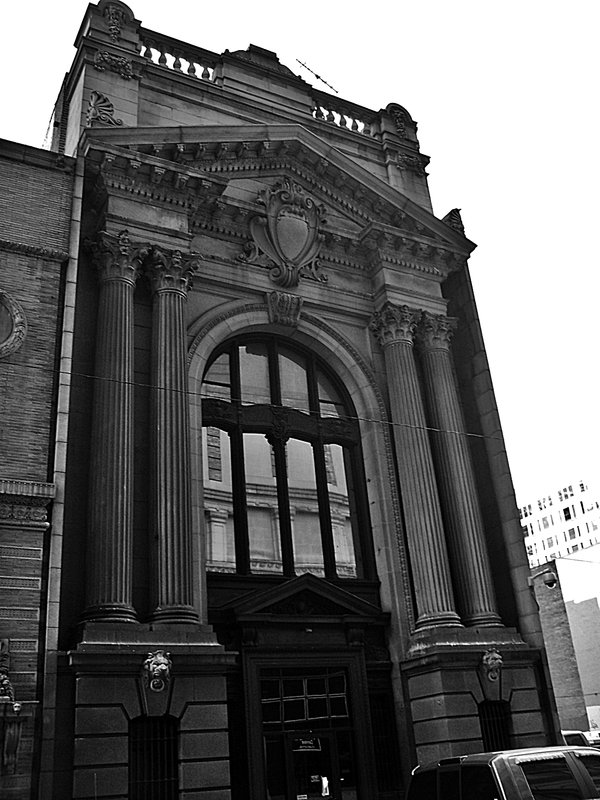 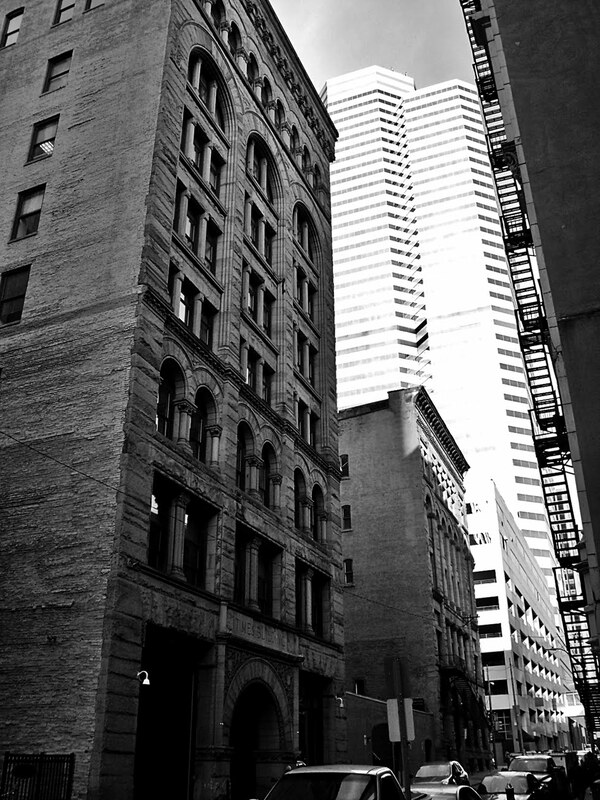 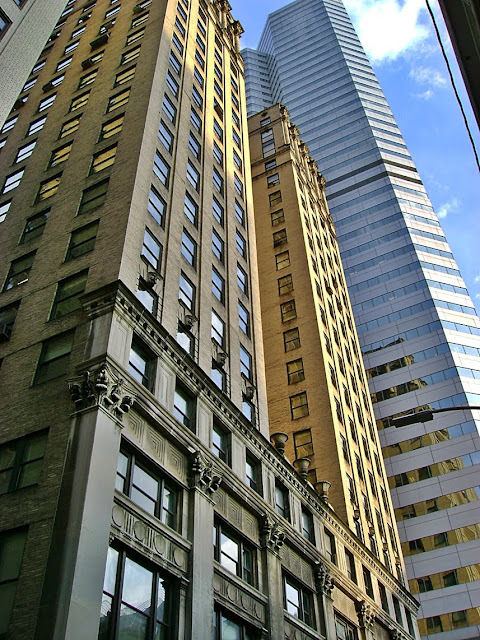 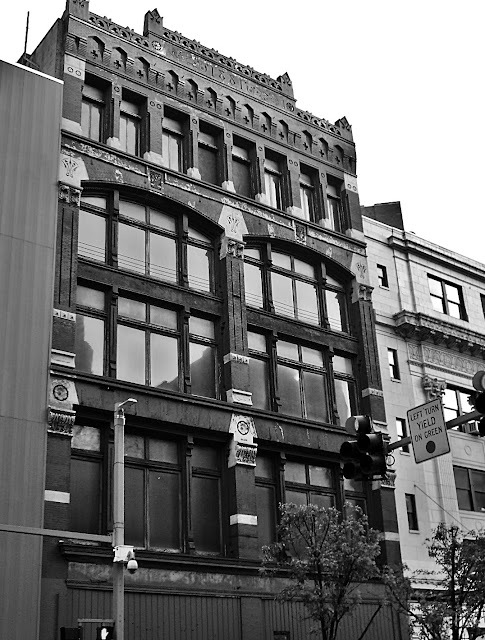 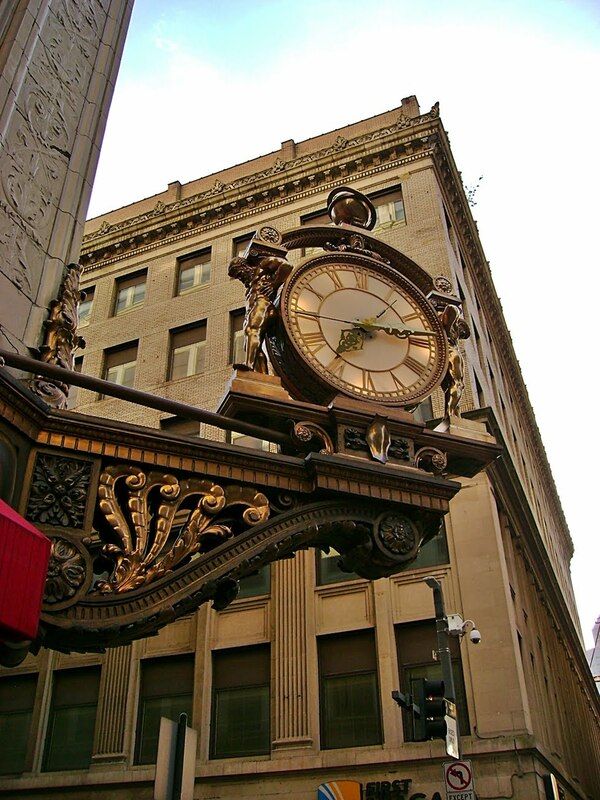 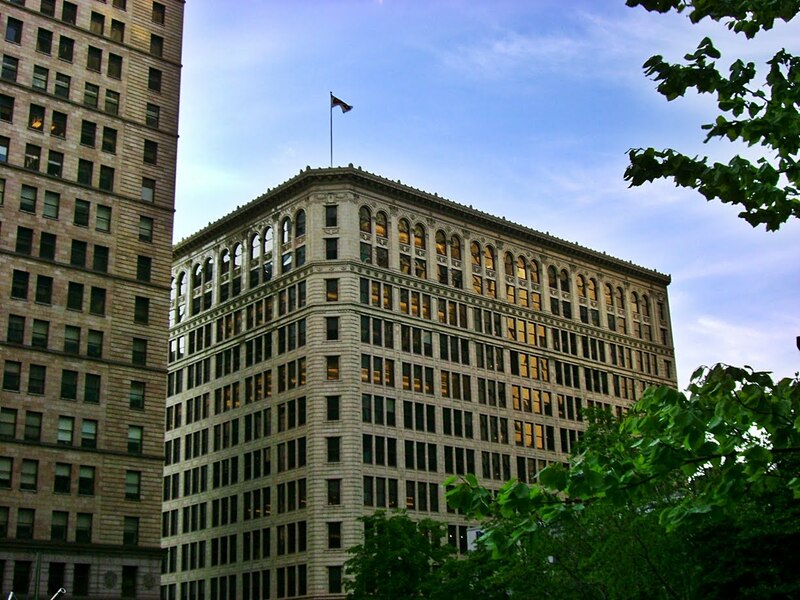 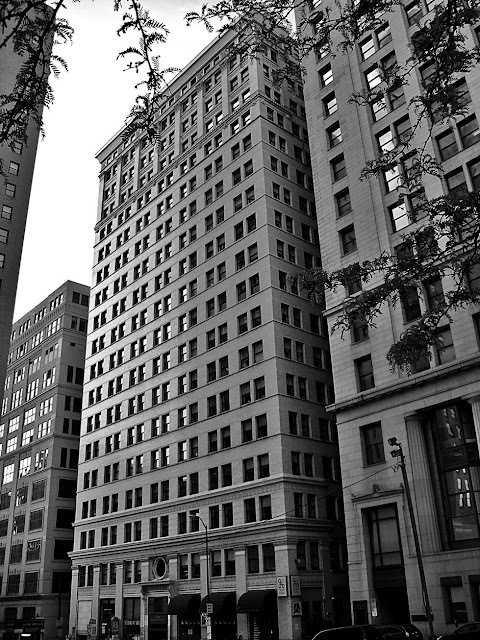 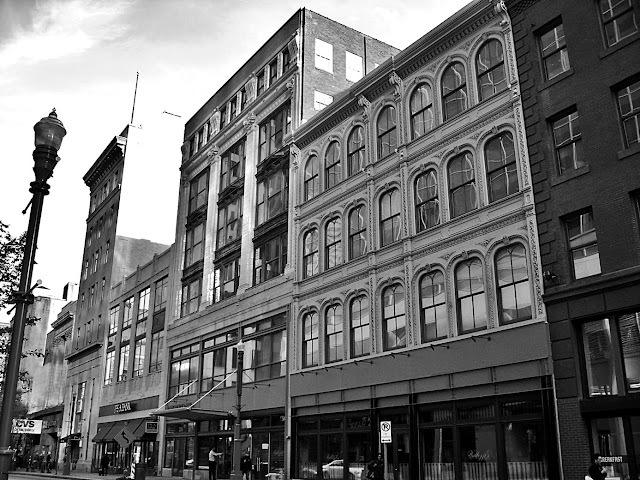 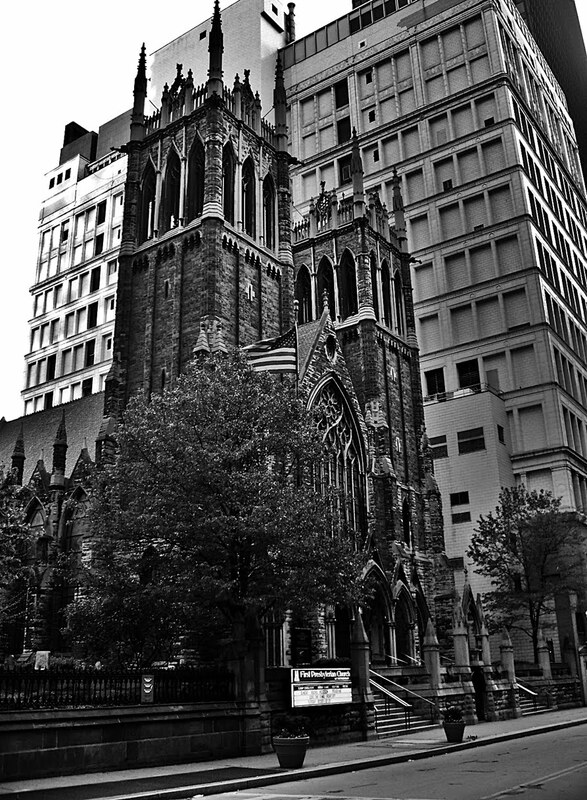 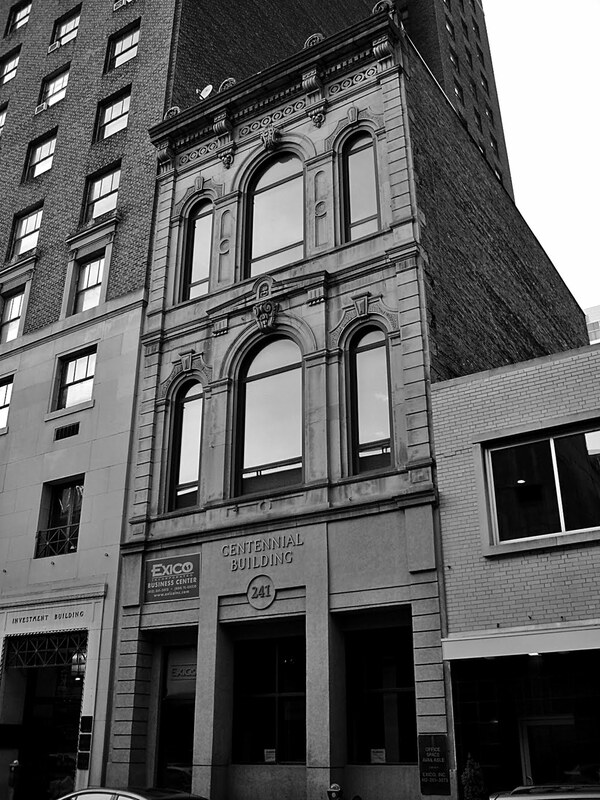 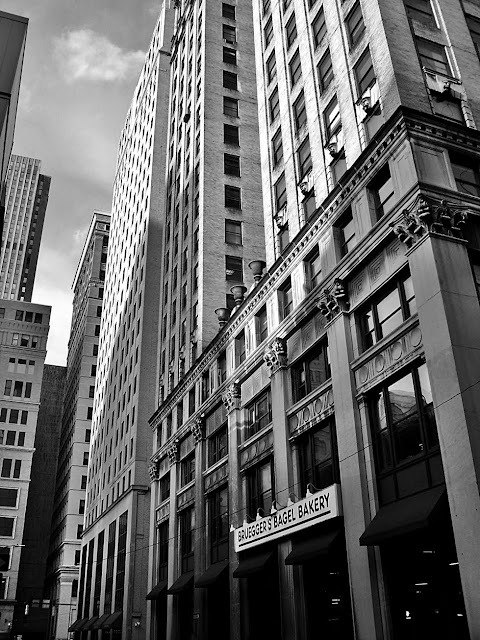 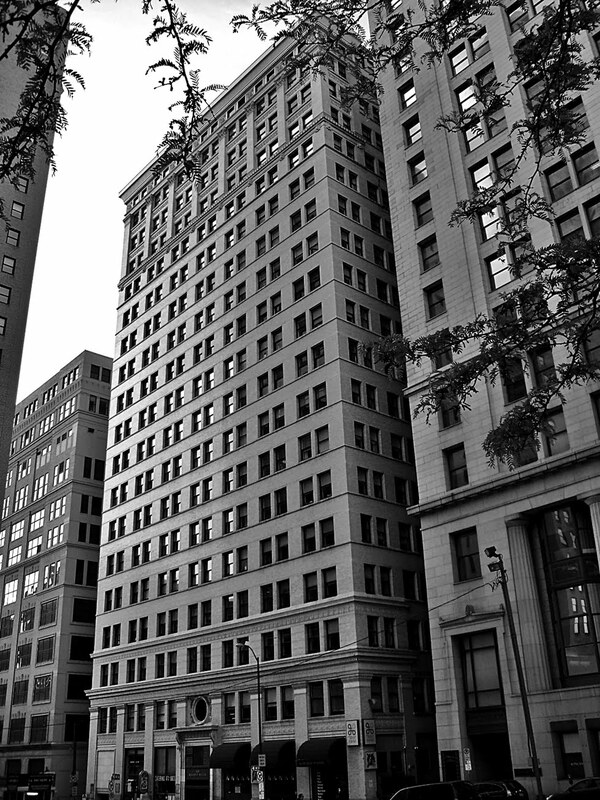 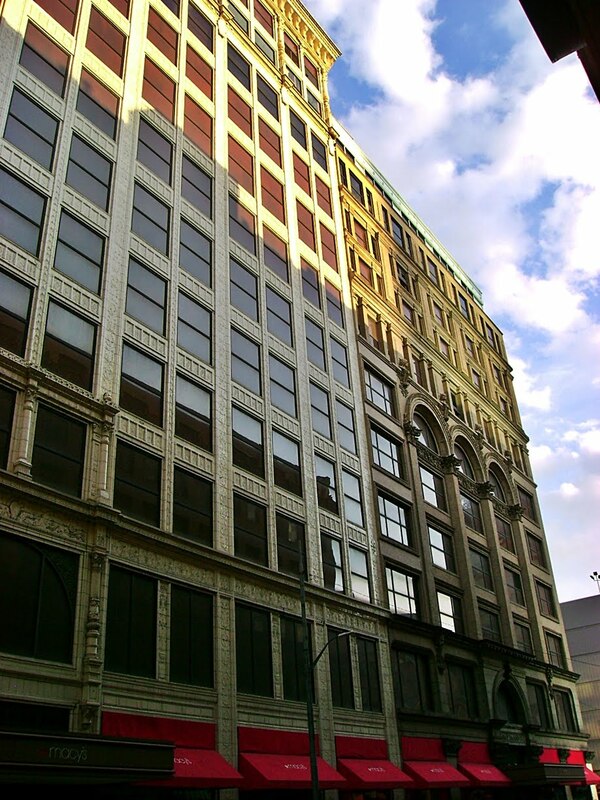 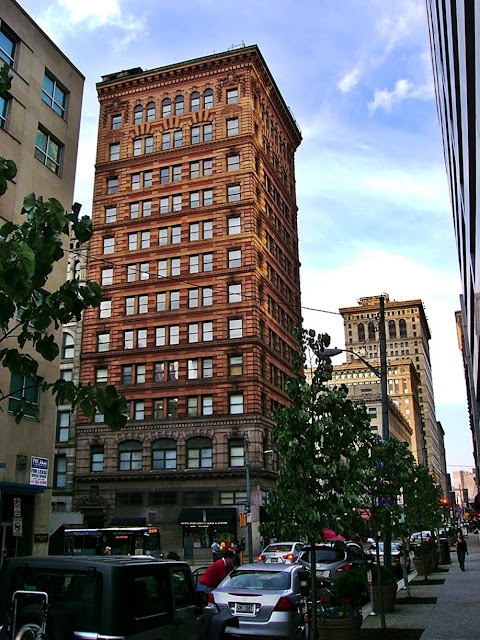 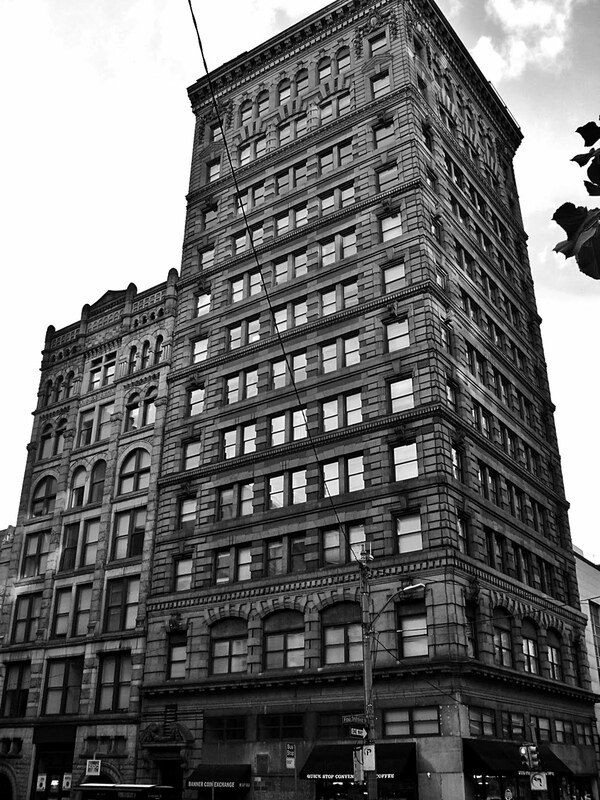 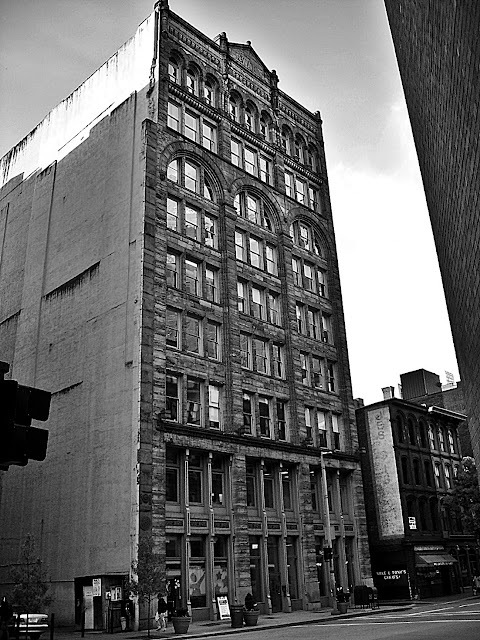 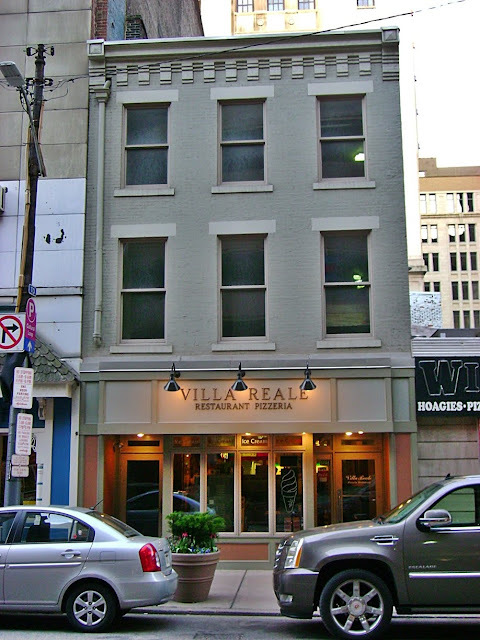 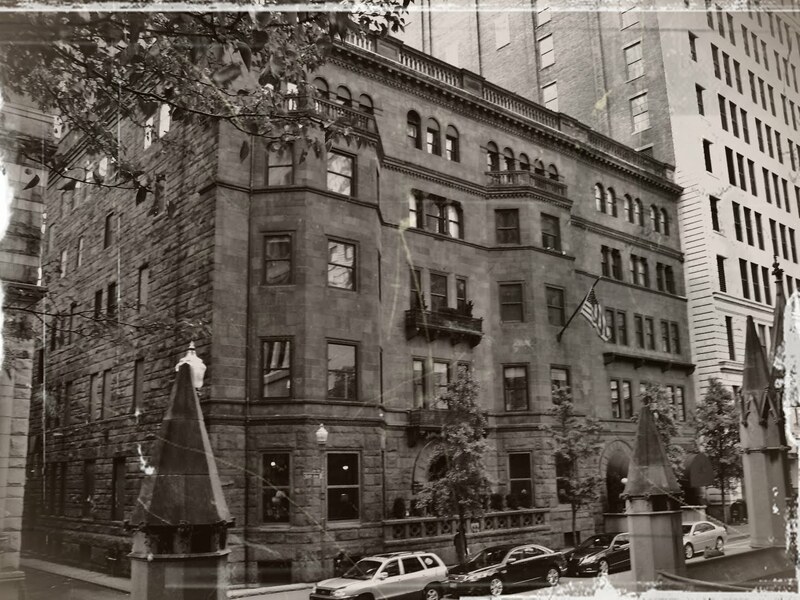 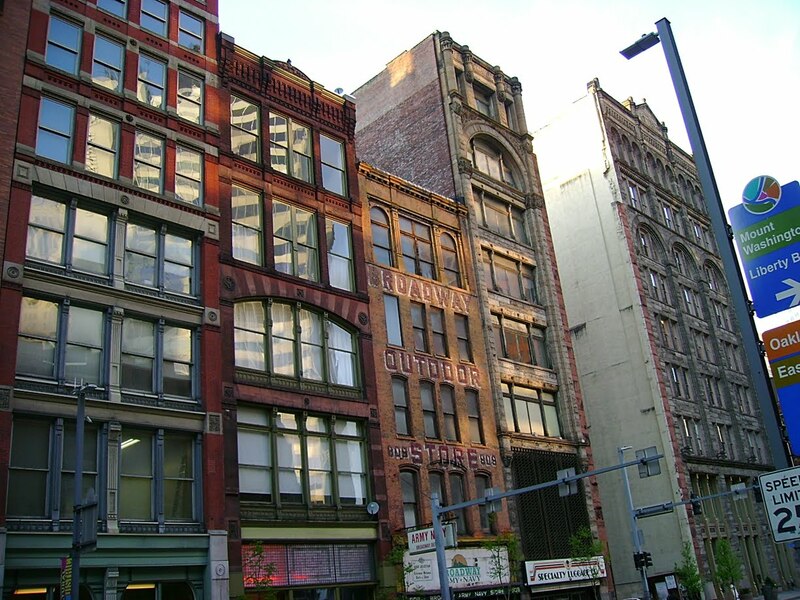 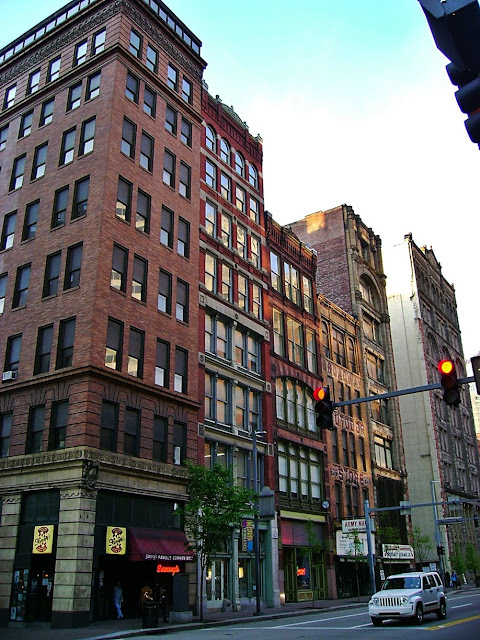 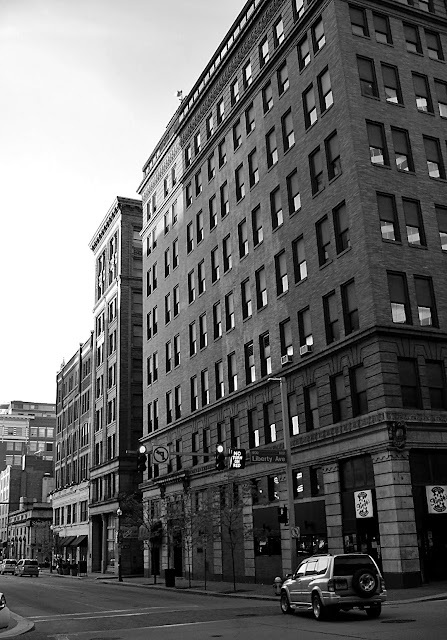 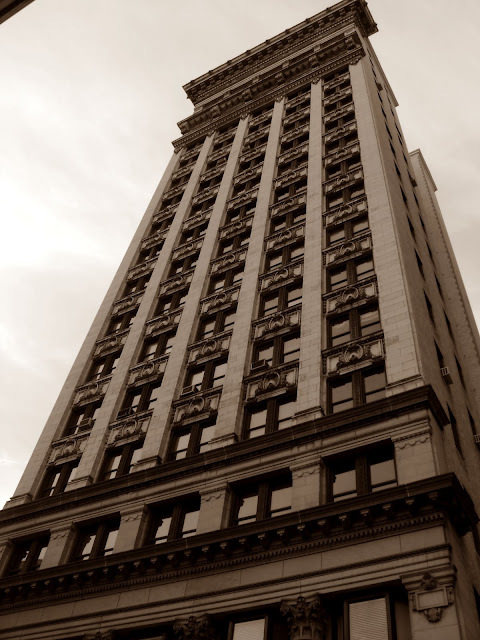 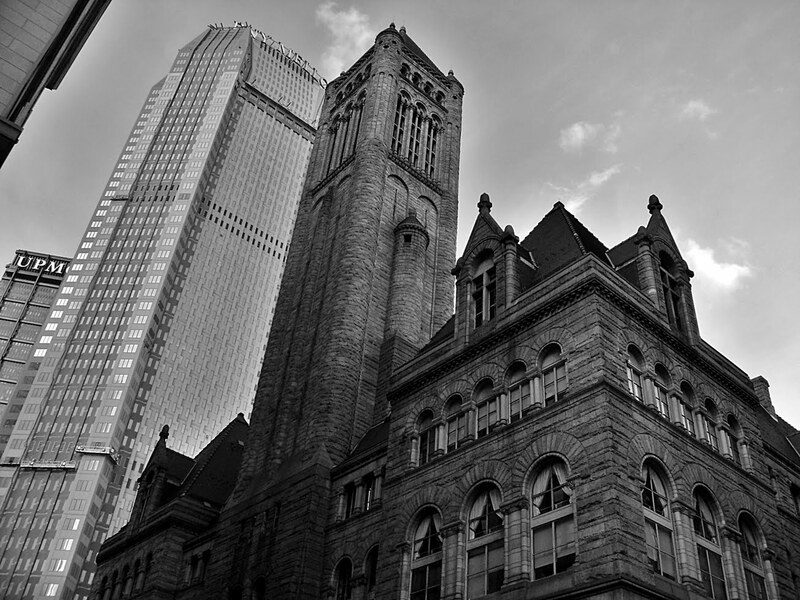 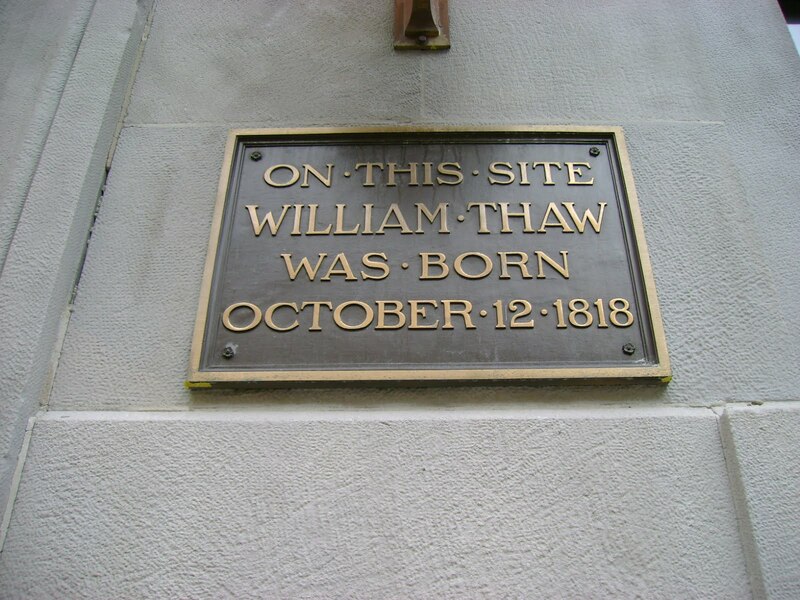 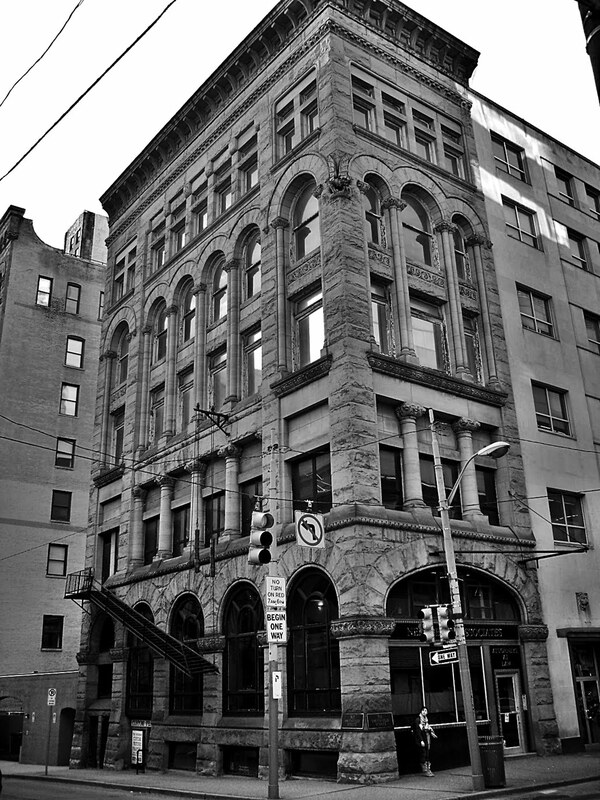 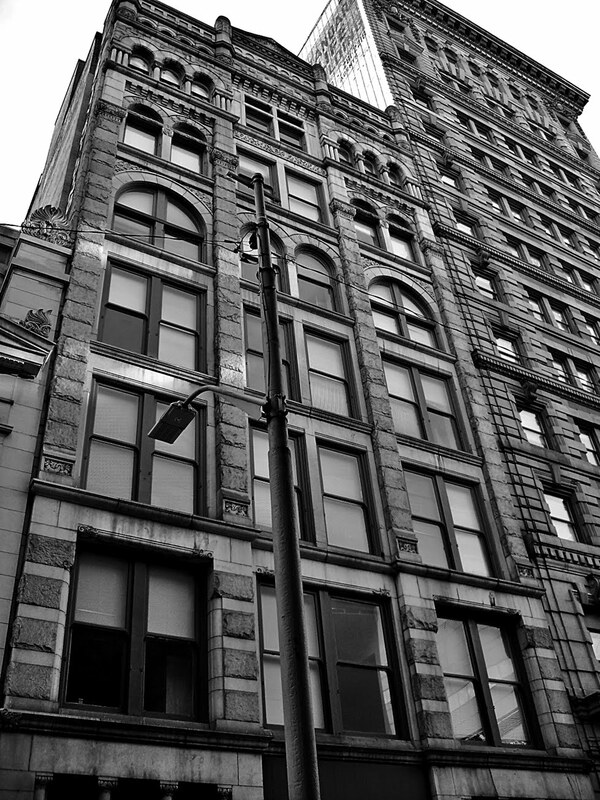 Downtown Pittsburgh contains a gorgeous collection of historic buildings, representing a wide variety of architectural styles and eras, from the Burke Building of 1836 to the Victorian high-rises of the late 19th century. 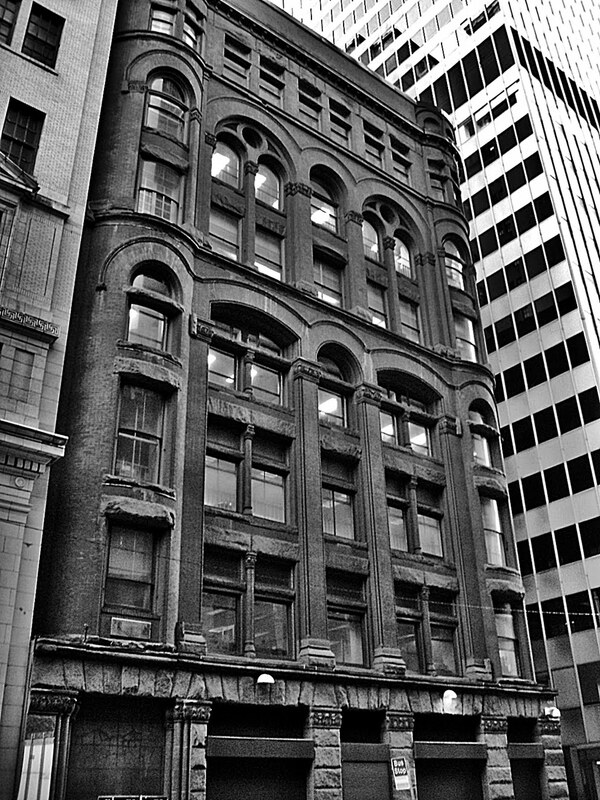 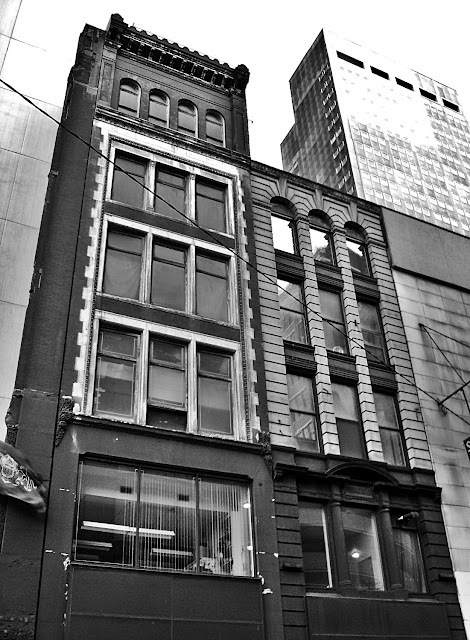 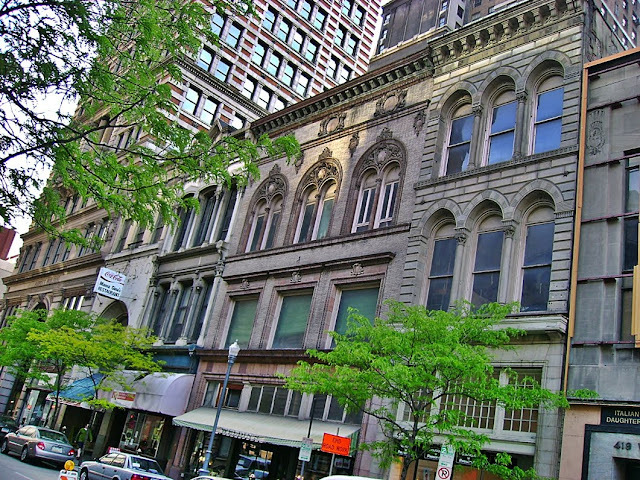 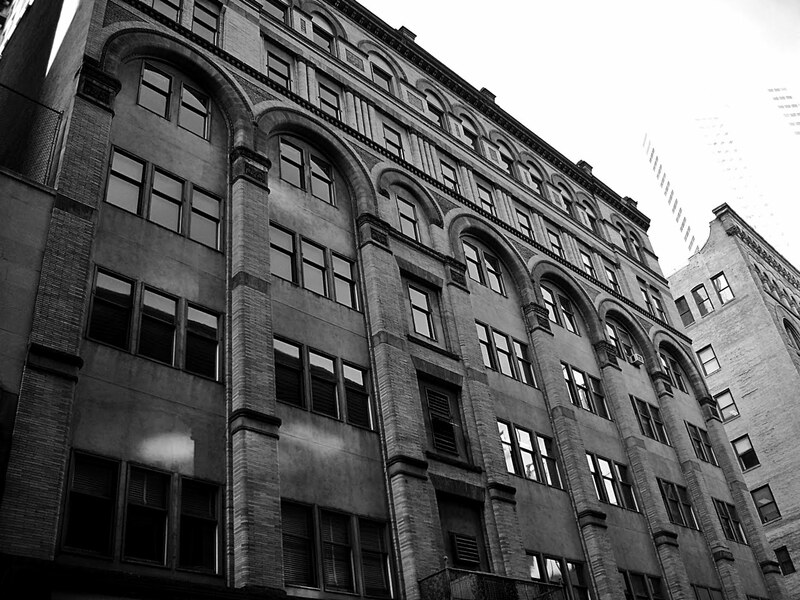 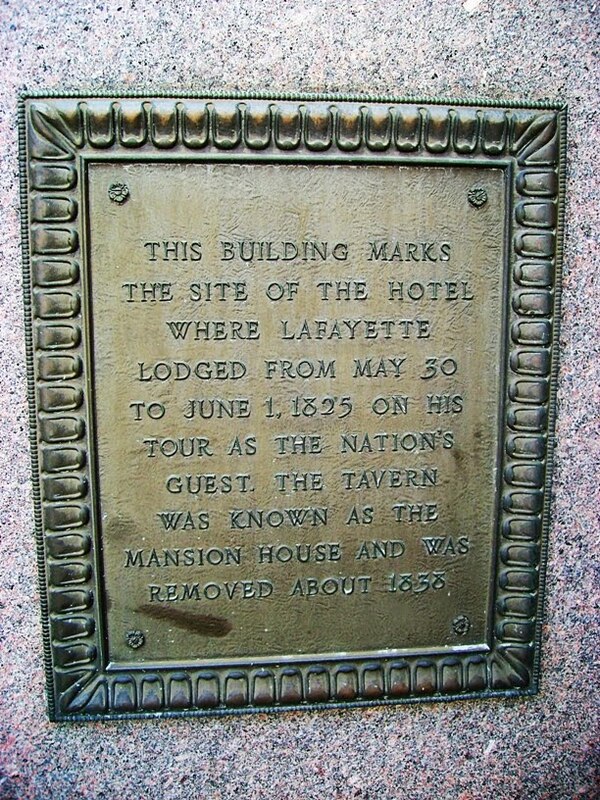 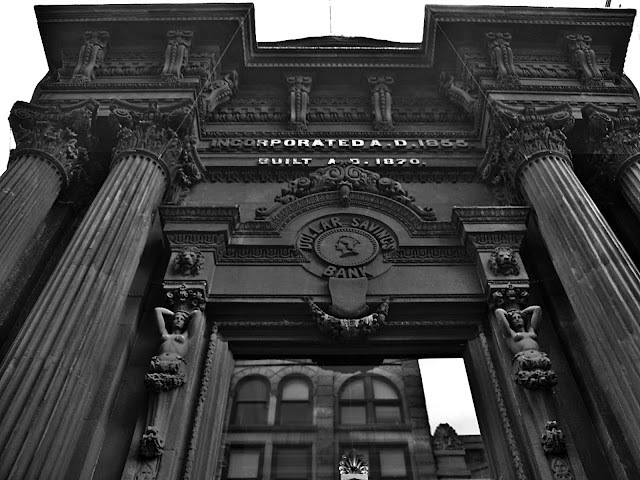 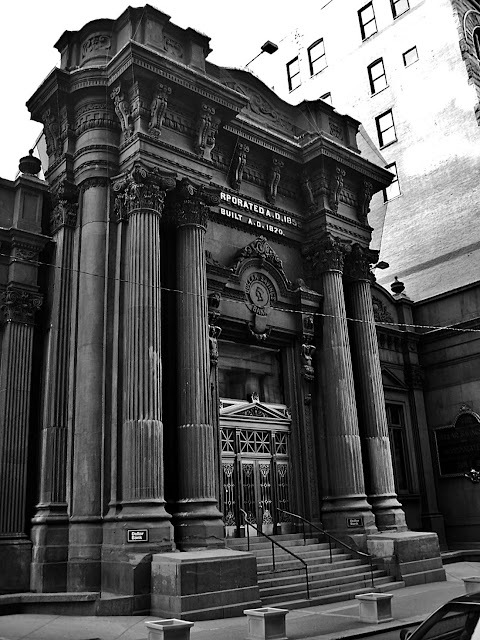 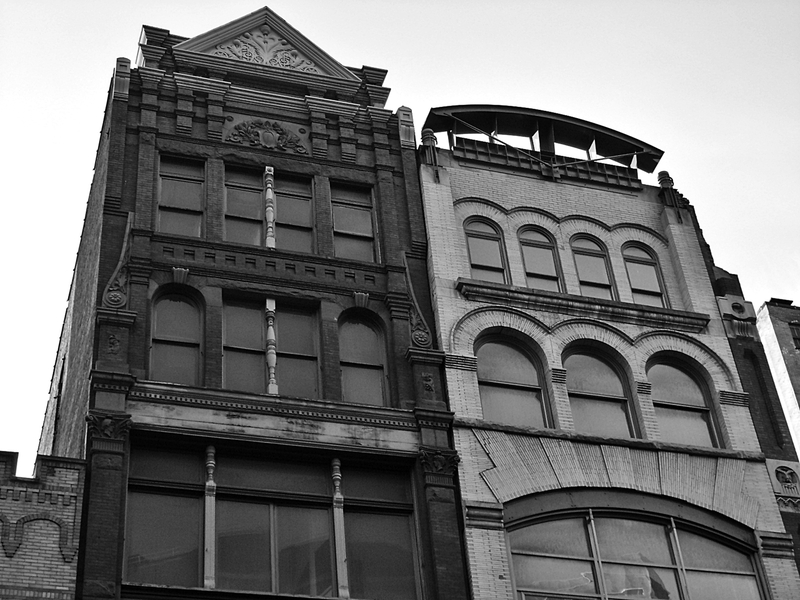 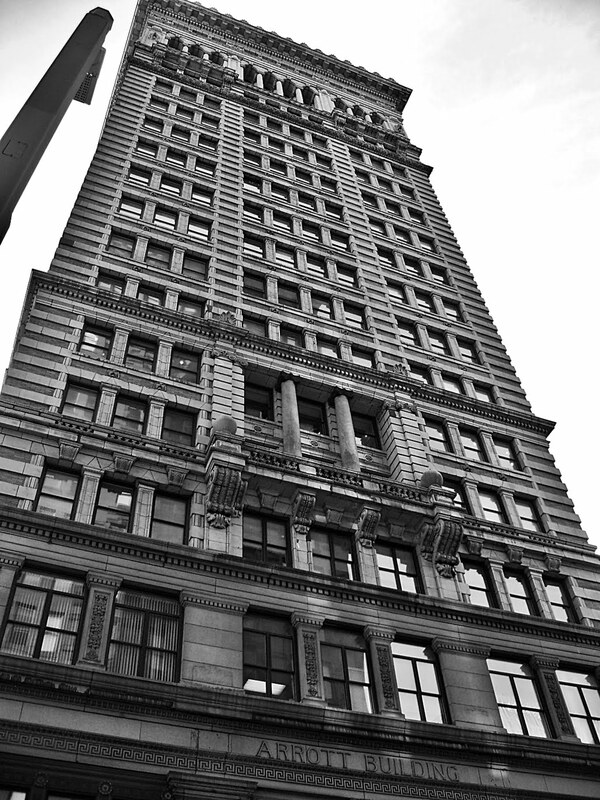 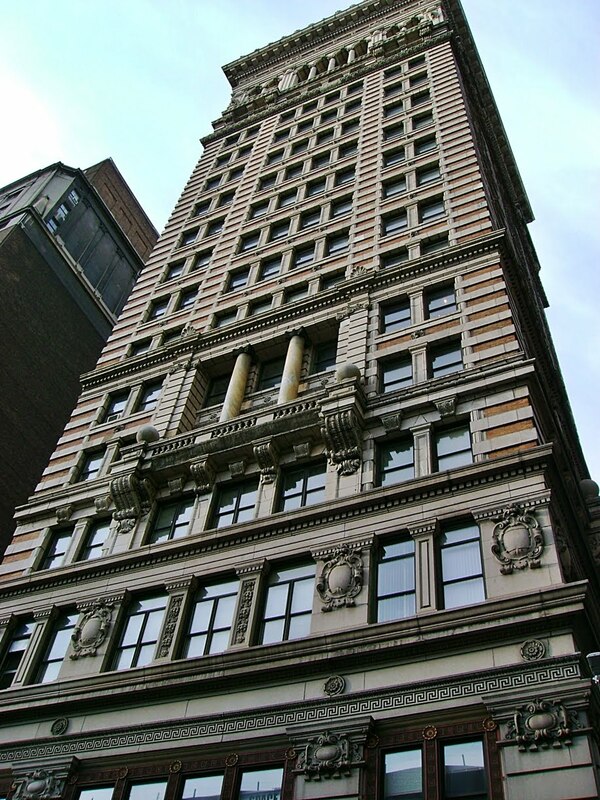 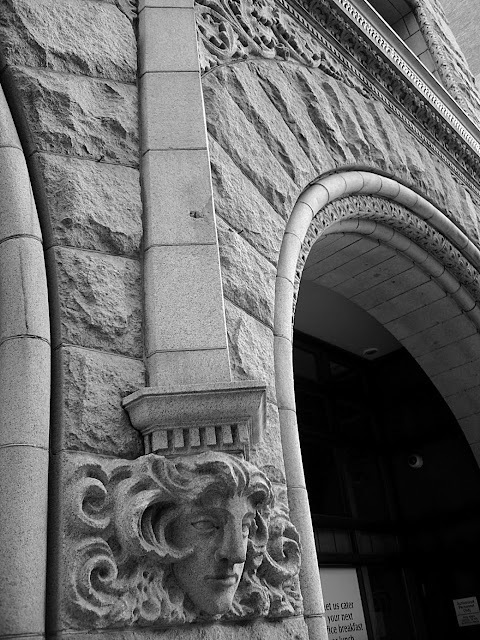 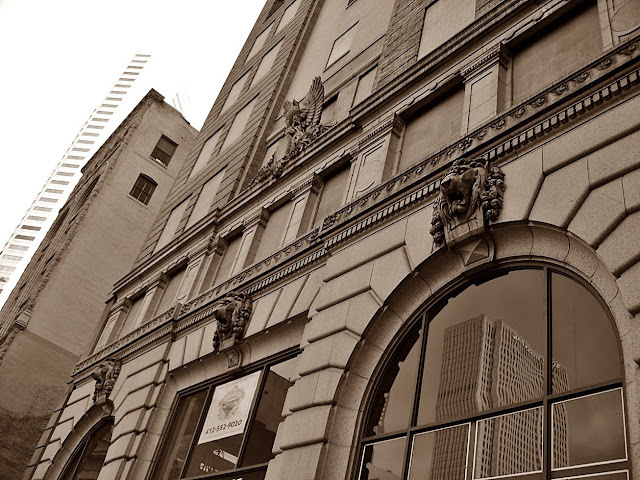 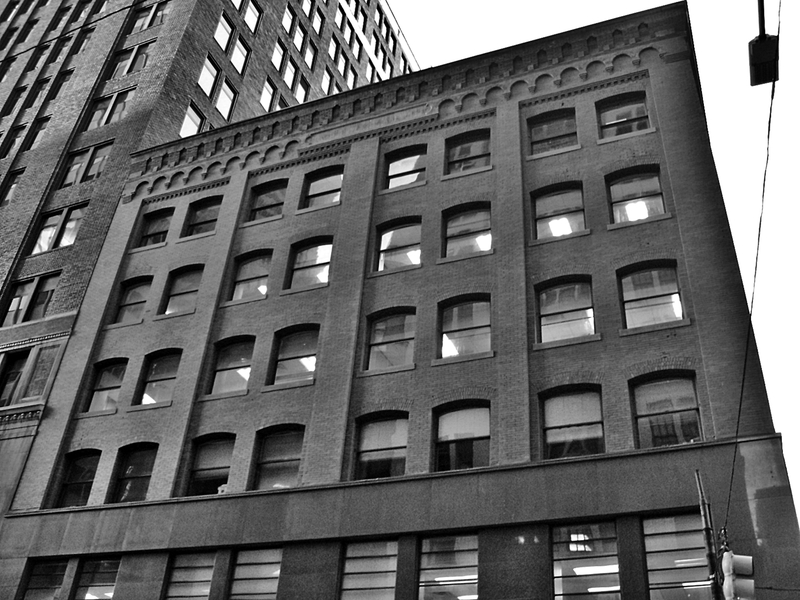 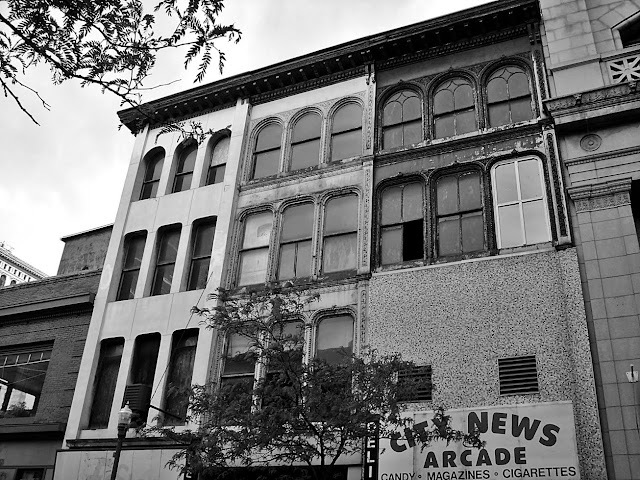 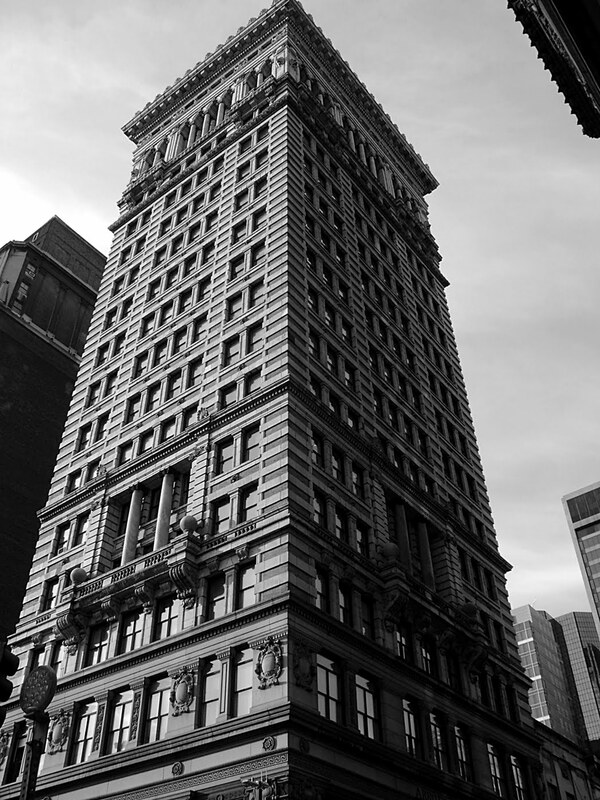 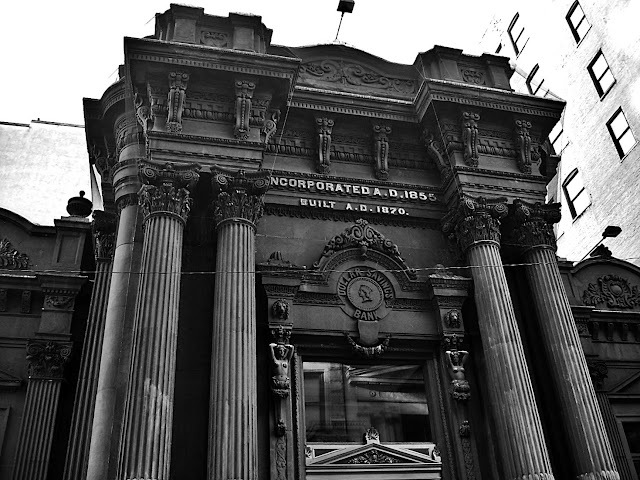 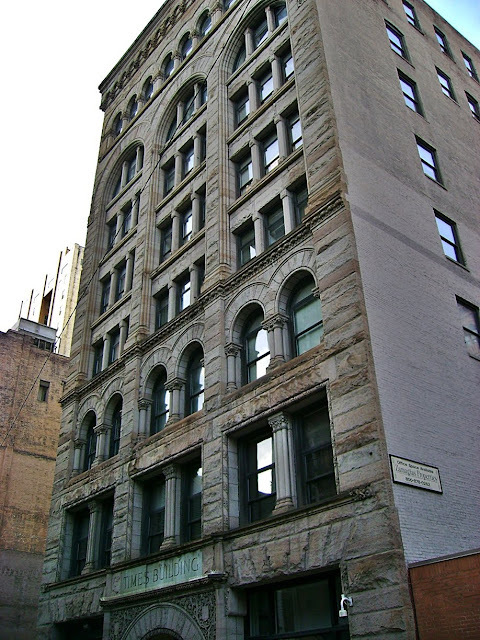 Apologies if one of your favorite landmarks was missed, such as the Morgue, the Union Arcade, or the Buhl Building (all wonderful buildings). 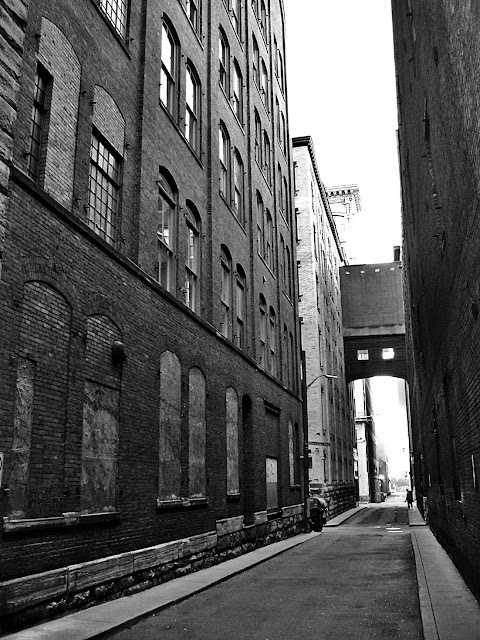 The section of downtown known as the Wharf Historic District is covered in a separate photo tour. Penn Avenue and "Chinatown" will be covered separately. 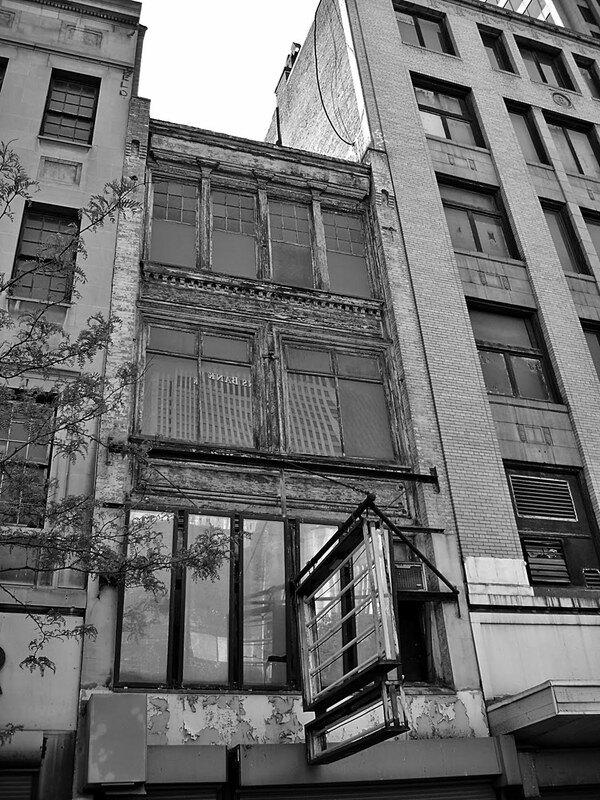 Look at the very old glass window panes, circa mid-19th century. 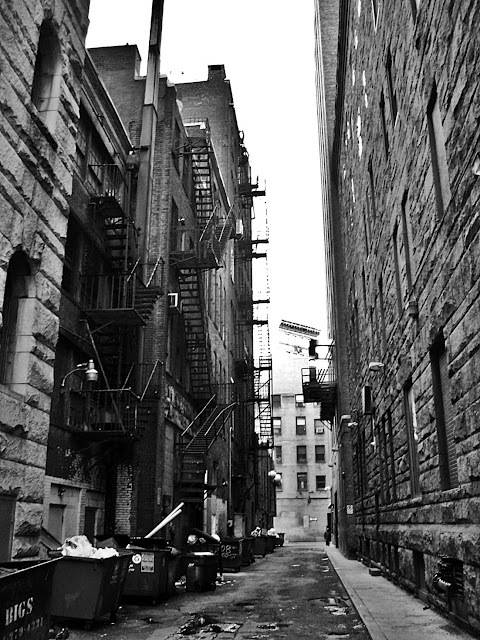 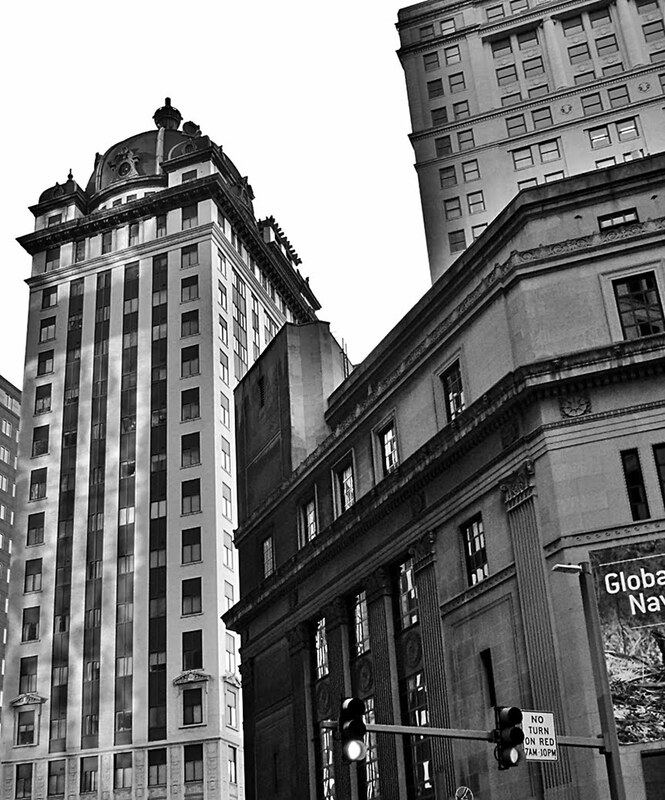 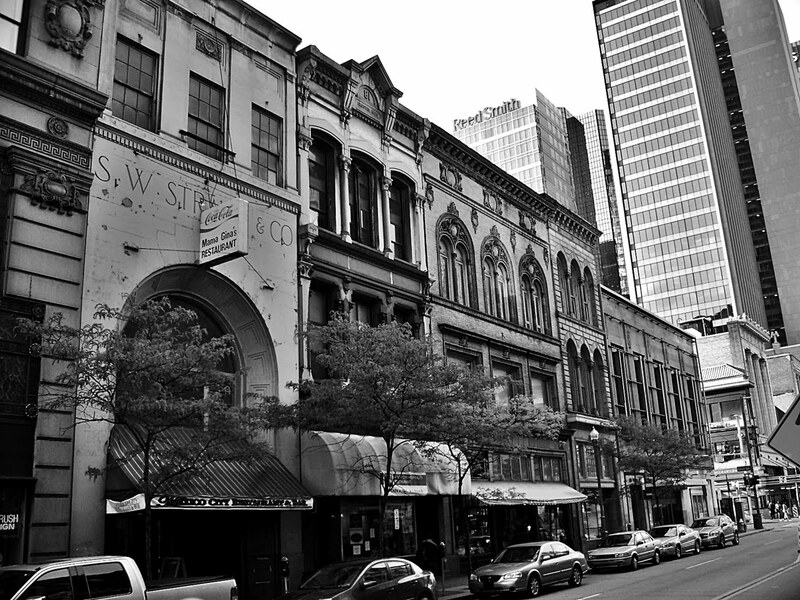 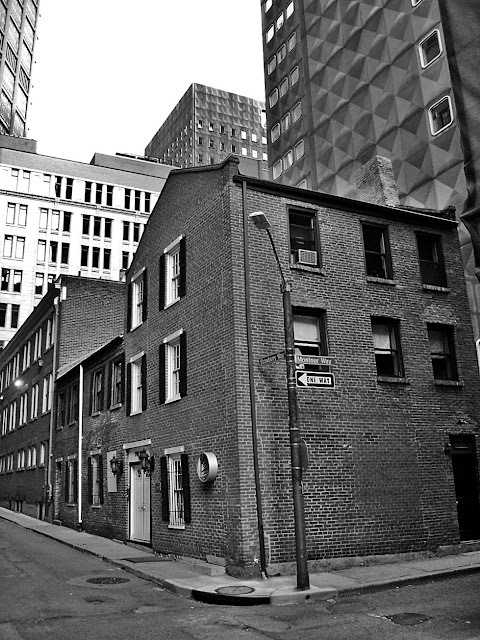 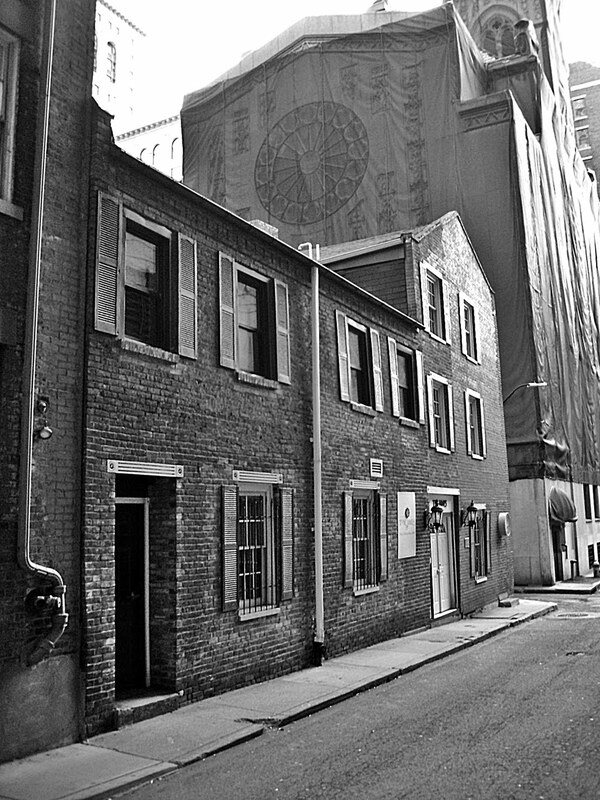 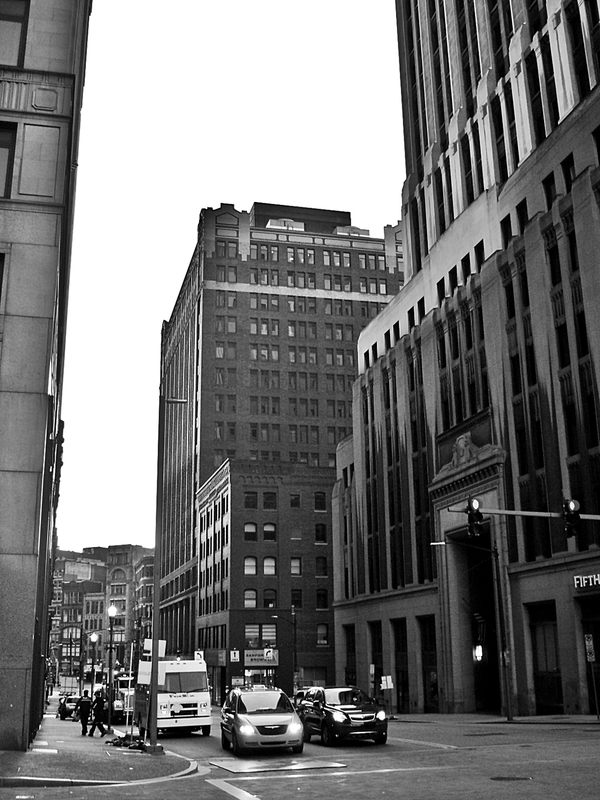 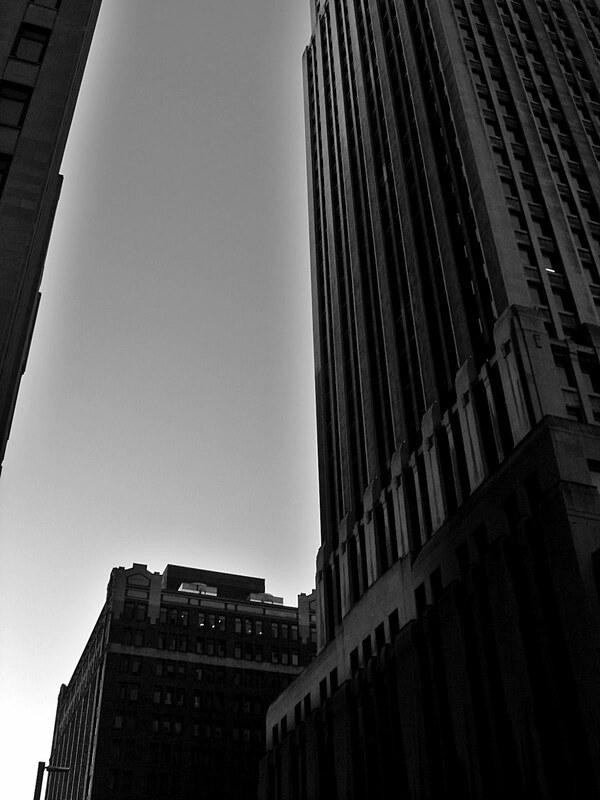 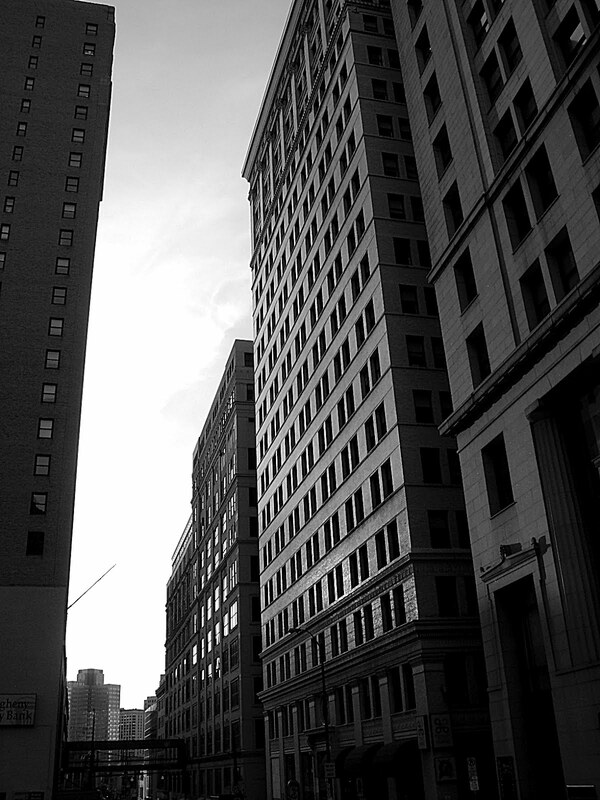 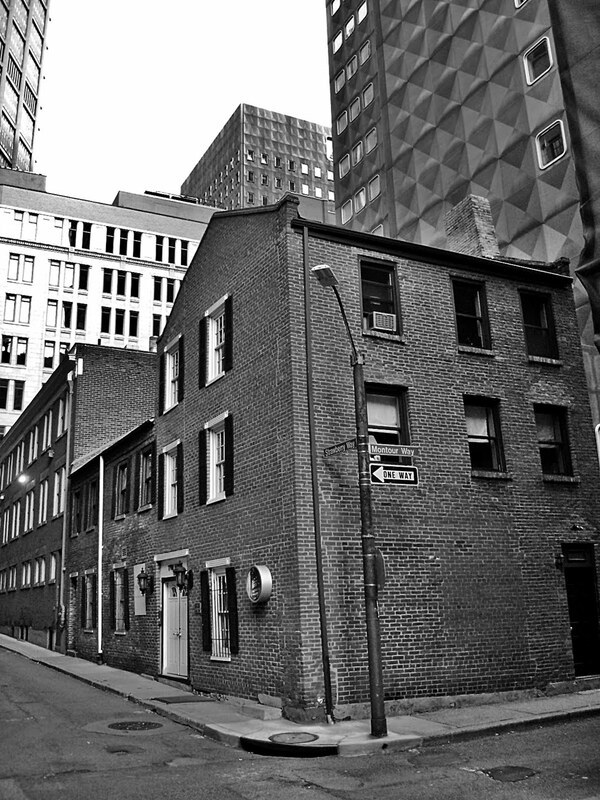 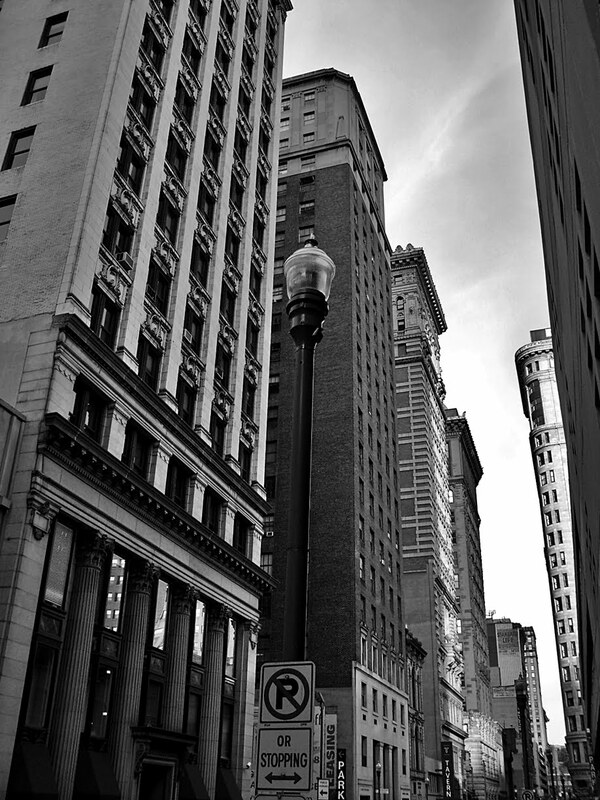 View down Fourth Avenue, once considered the "Wall Street" of Pittsburgh. 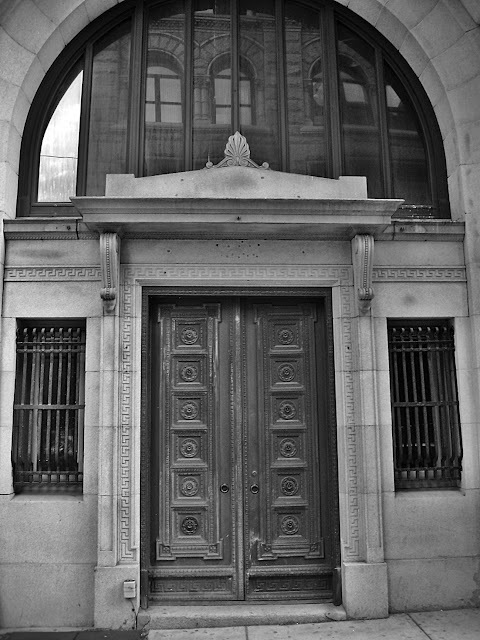 Dollar Bank on Fourth Avenue, built 1870. 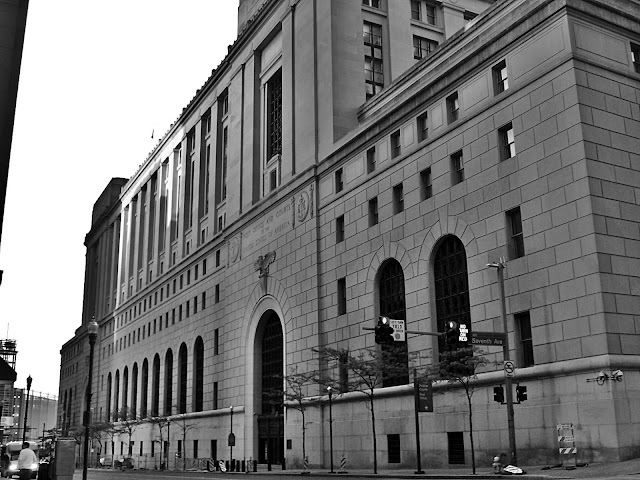 The building in the forefront is the Law and Finance Building. 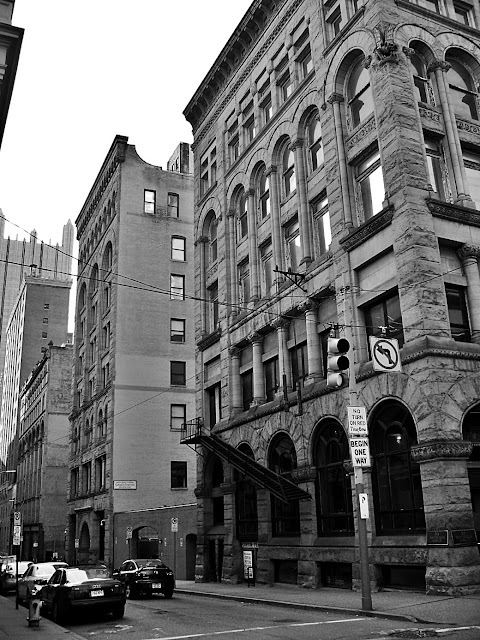 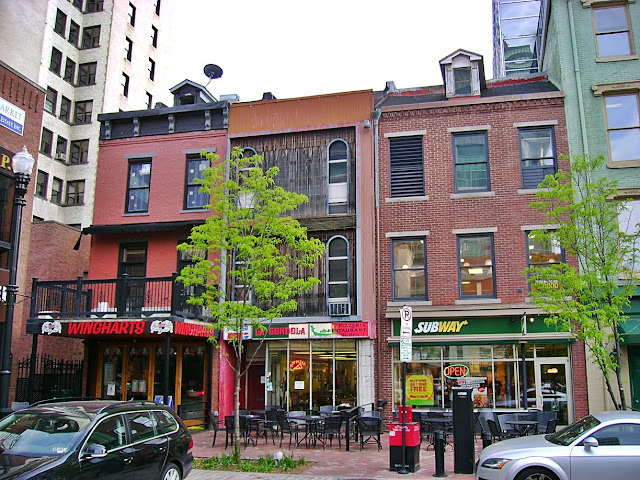 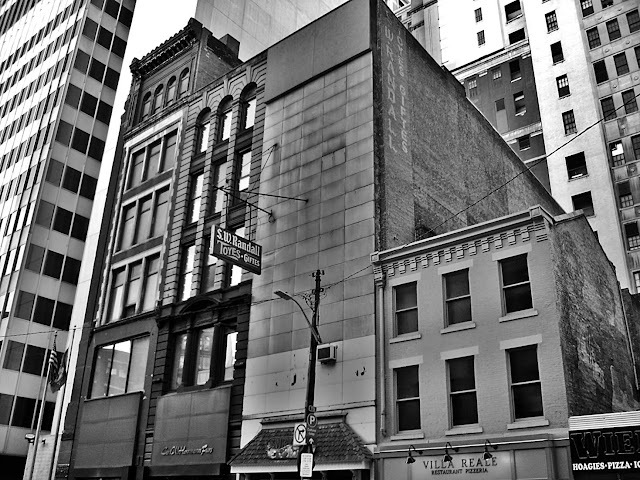 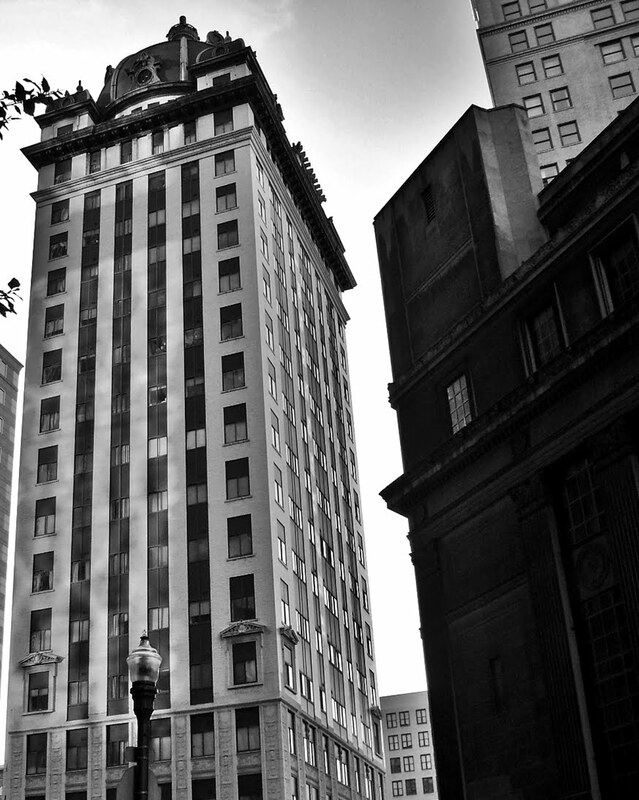 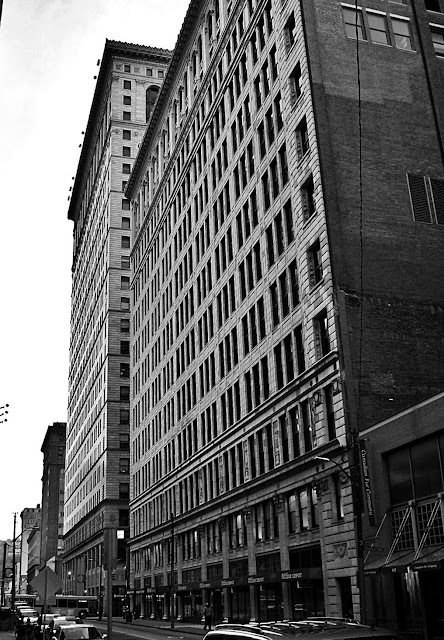 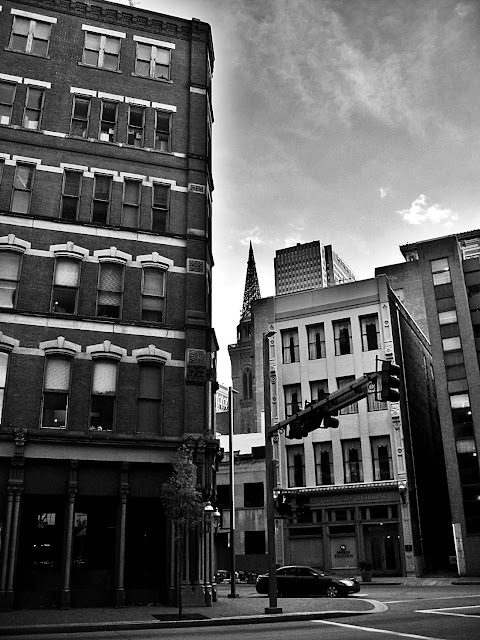 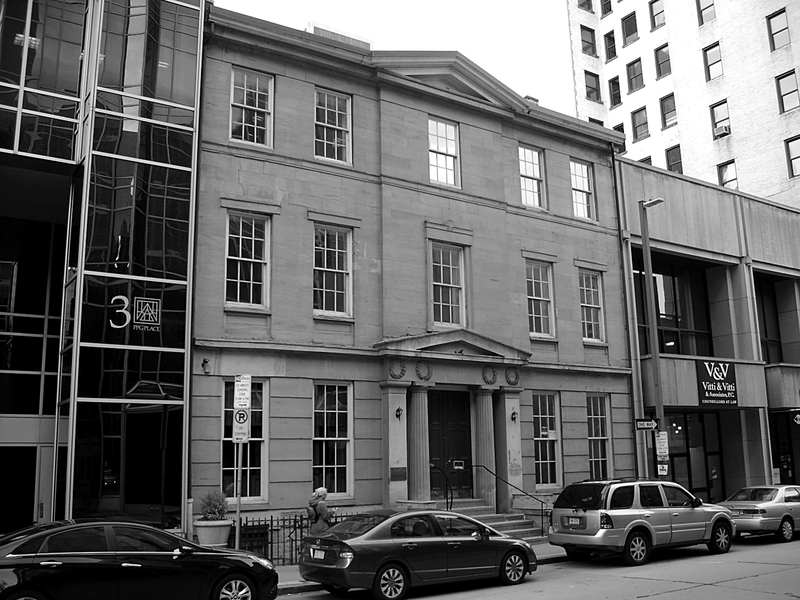 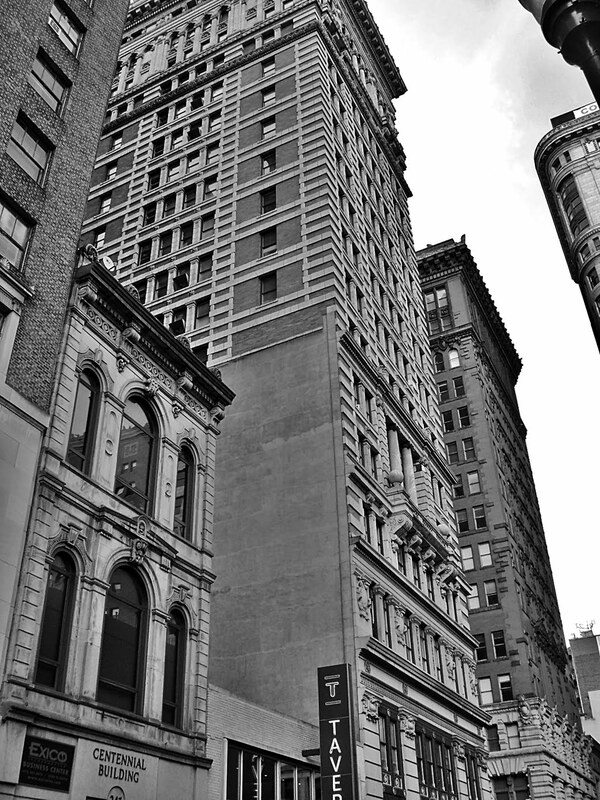 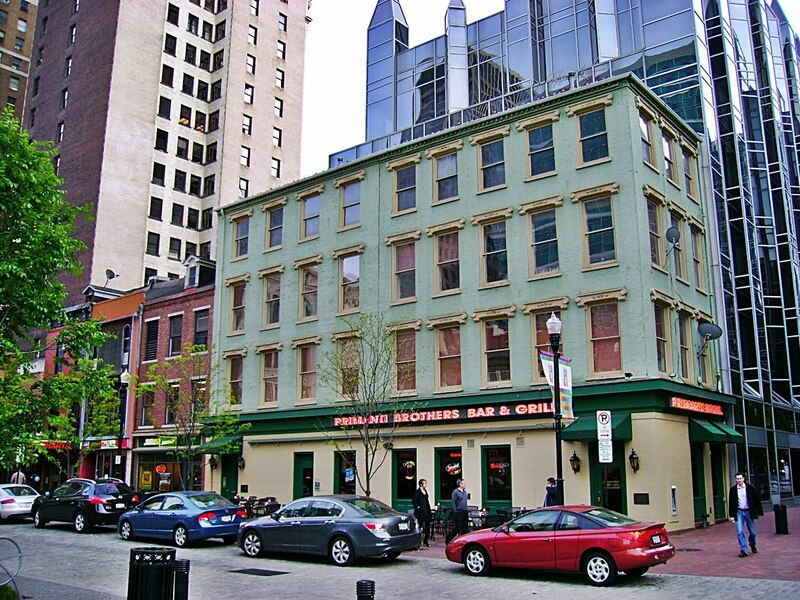 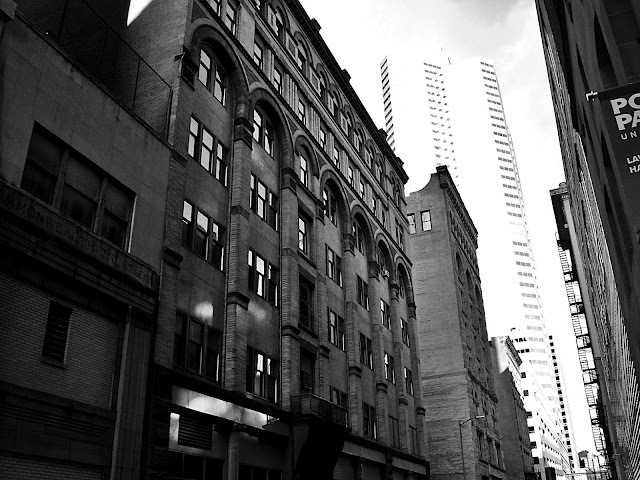 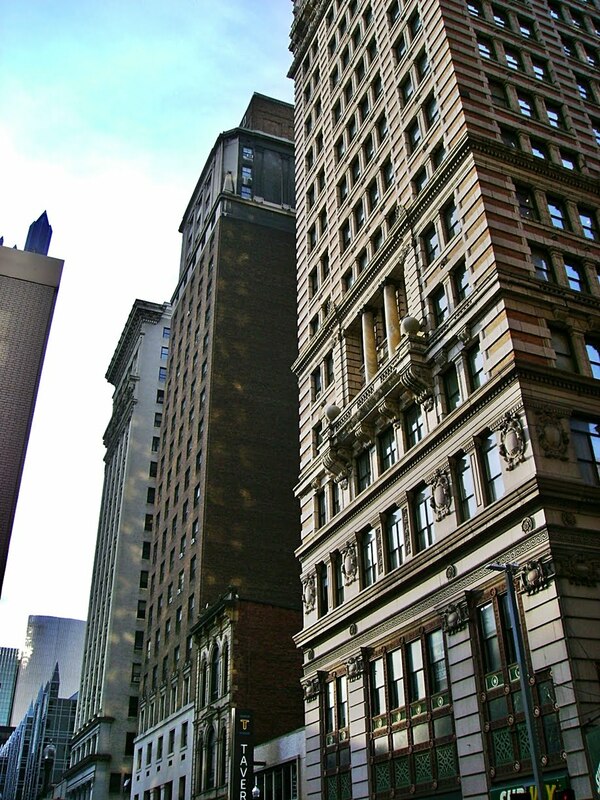 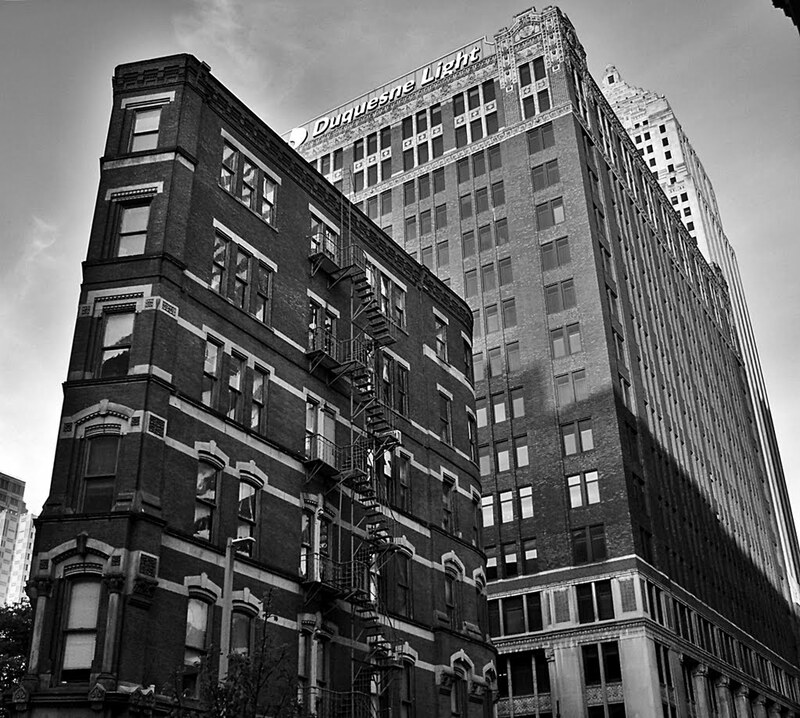 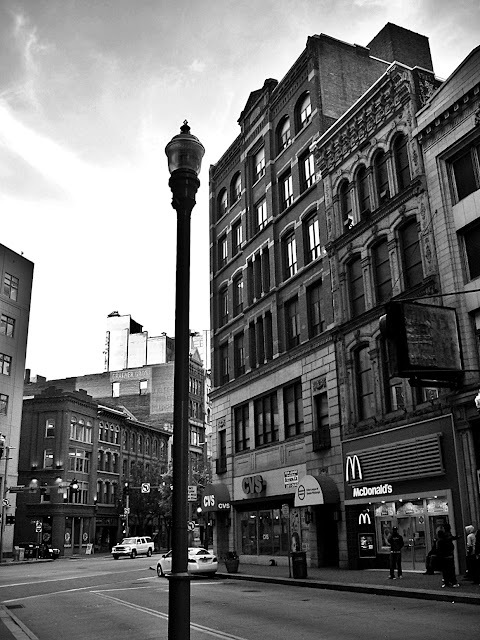 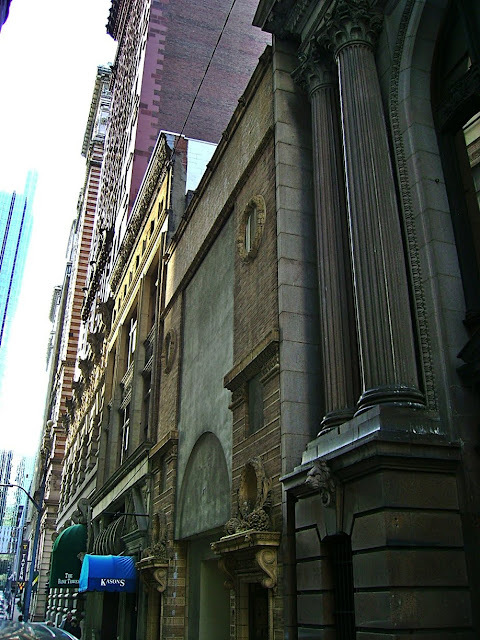 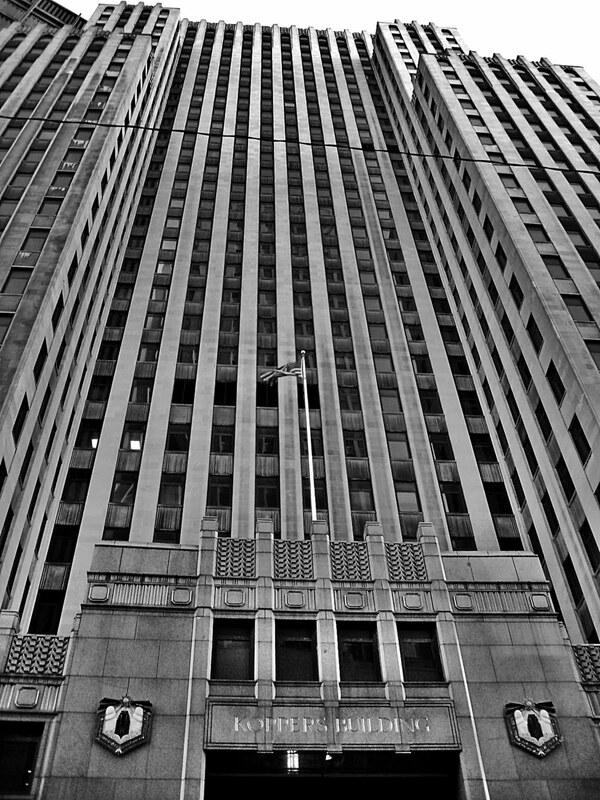 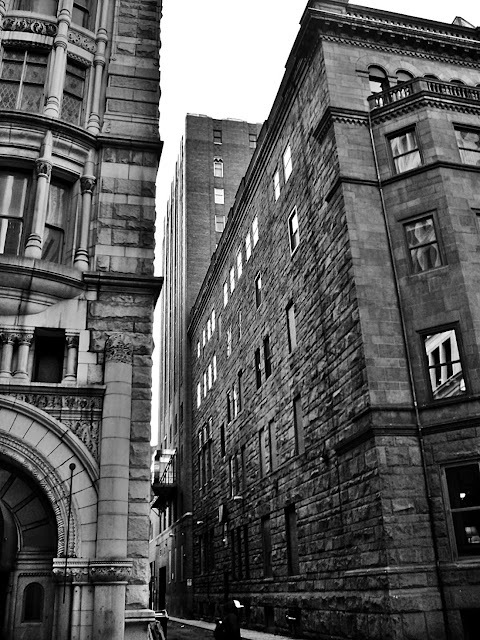 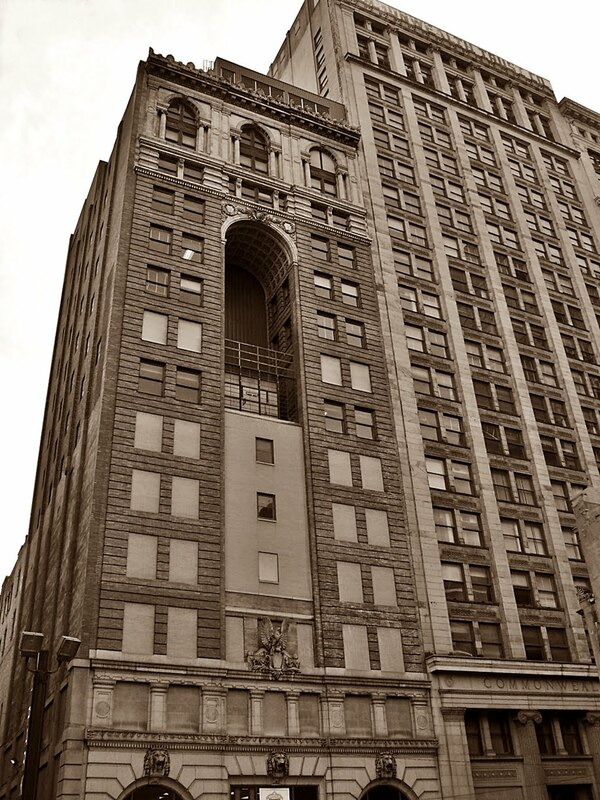 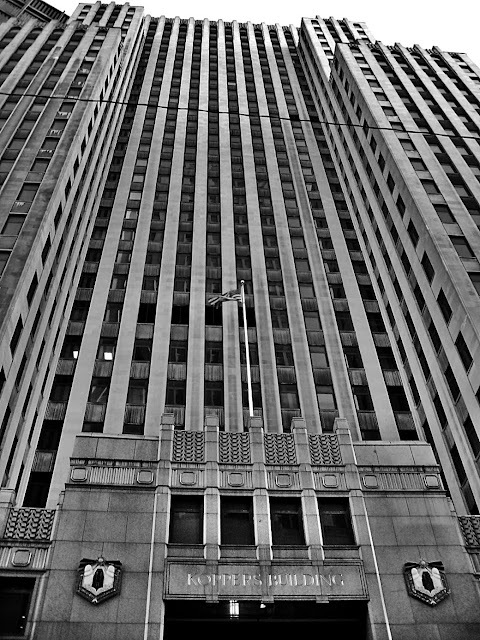 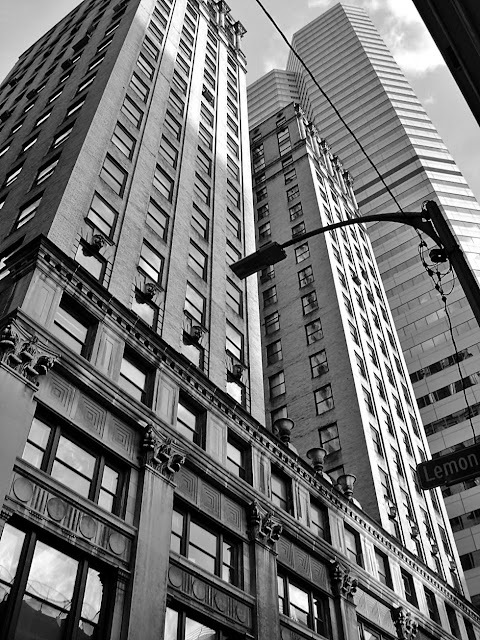 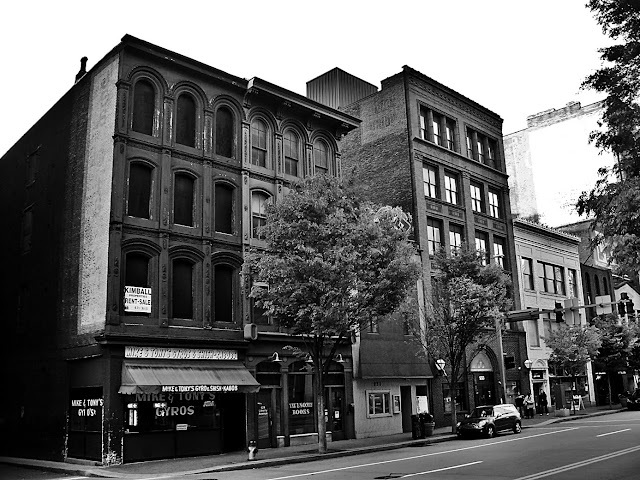 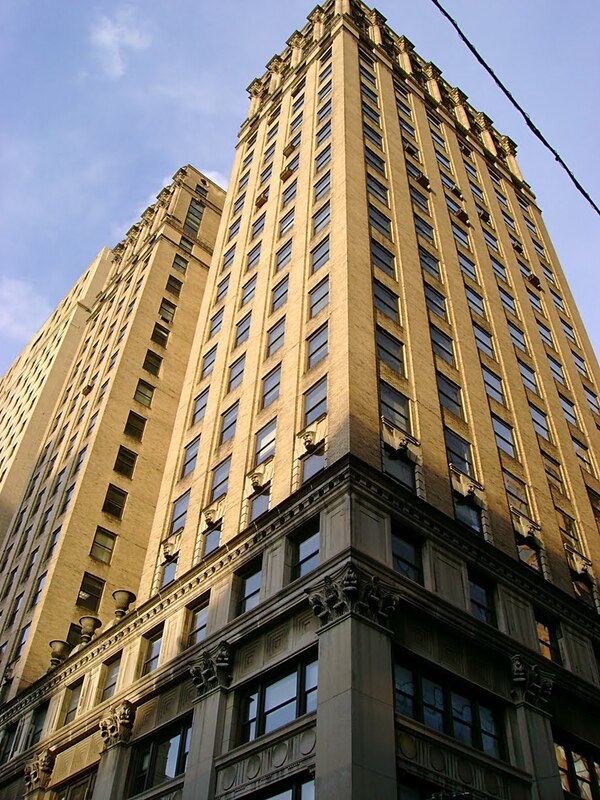 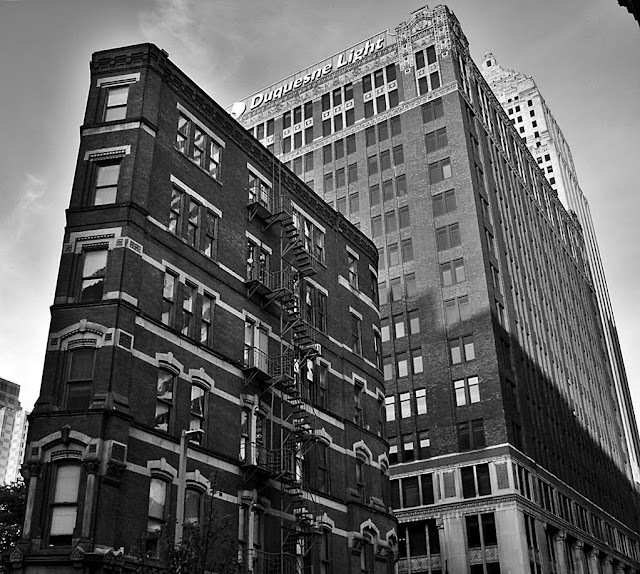 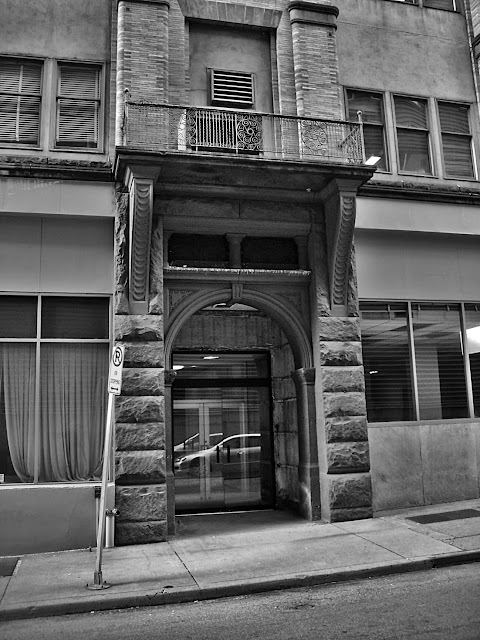 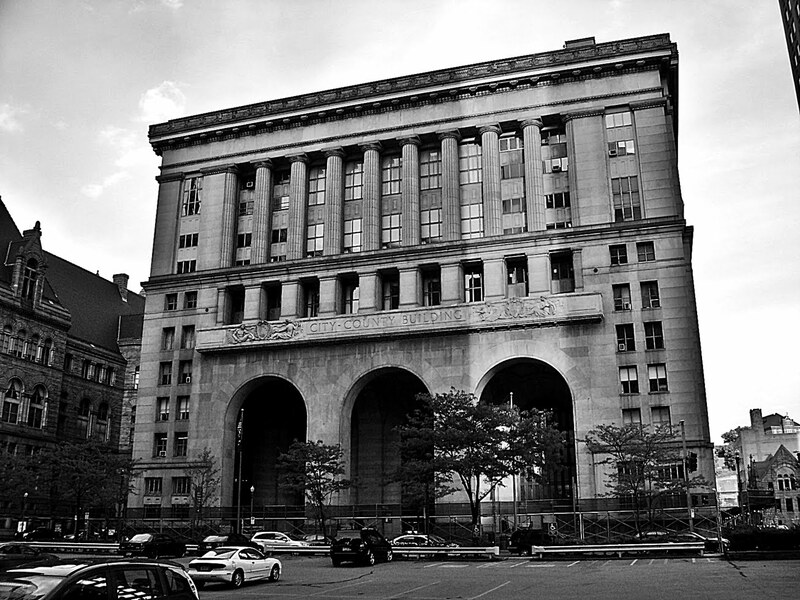 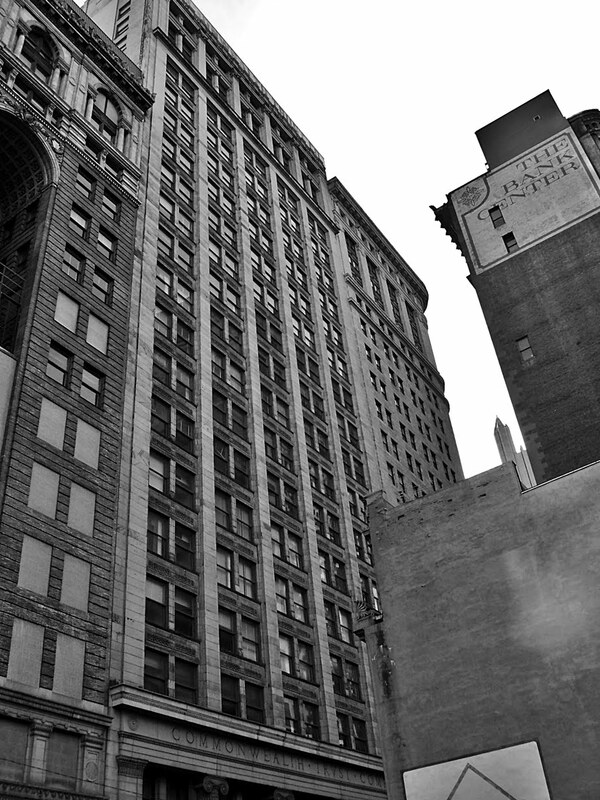 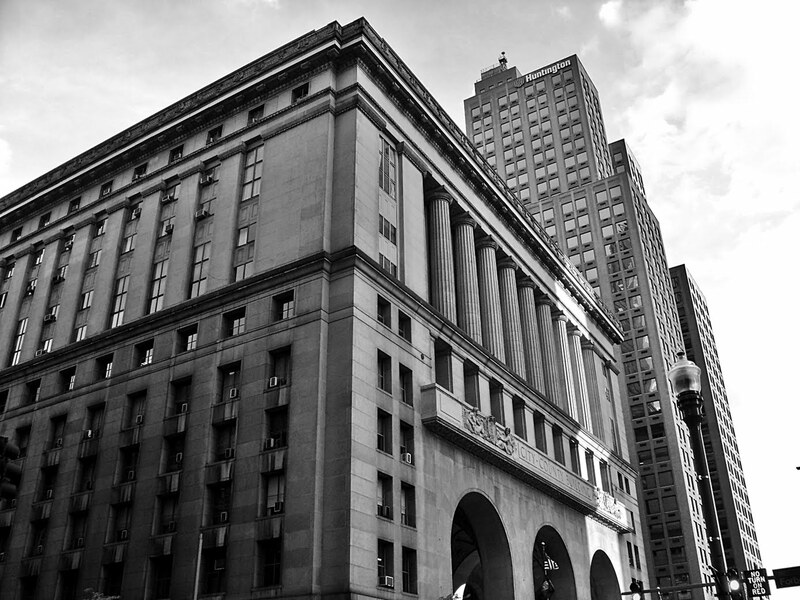 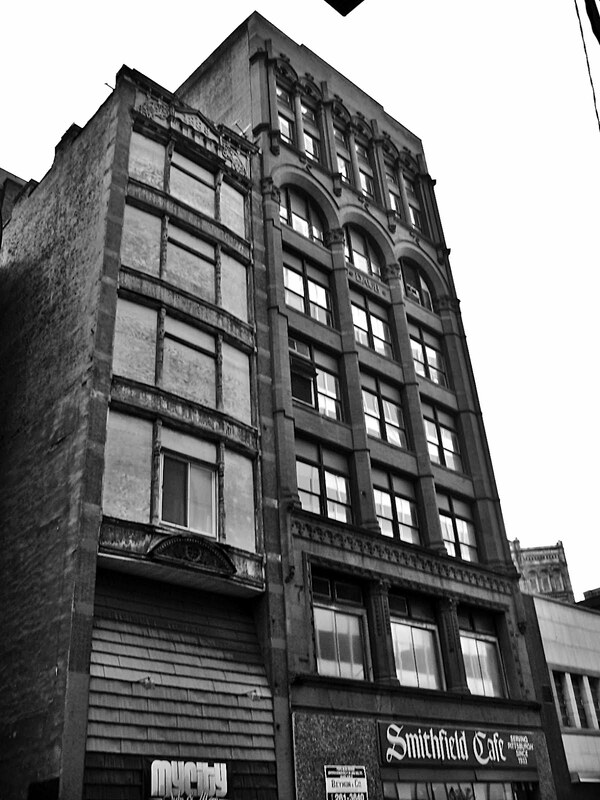 To the left is the Lawyers Building, which is the former "Pittsburgher Hotel" of 1928. 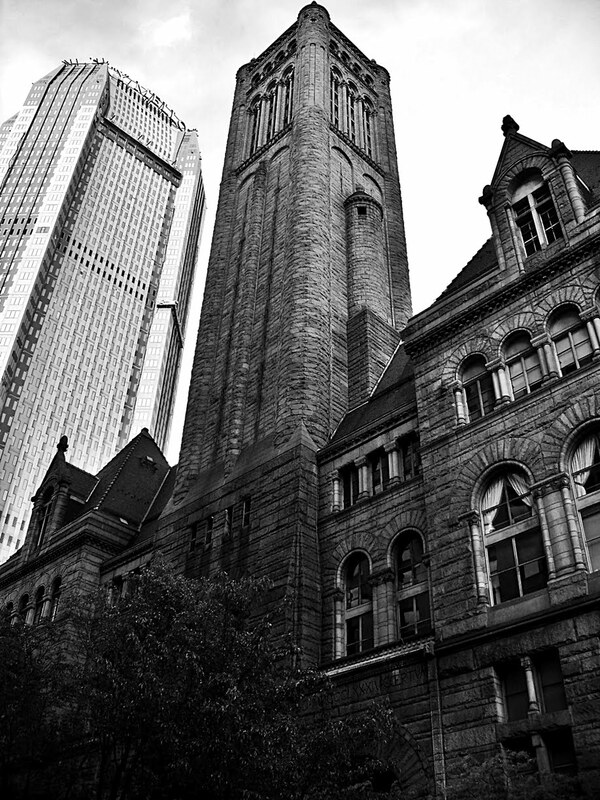 Allegheny County Courthouse and Jail, circa 1888. 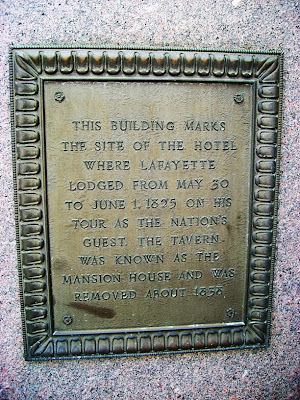 William Penn Hotel, circa 1916. Charming row houses, circa 1850, along Strawberry Way.